I am so thrilled! 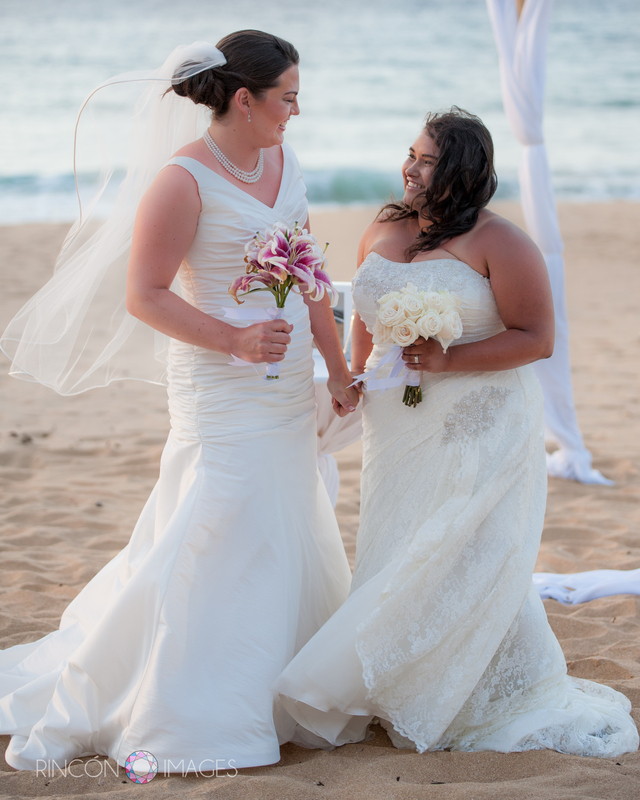 My beautiful June Brides were chosen to be featured on ForReal – A marriage equality blog! 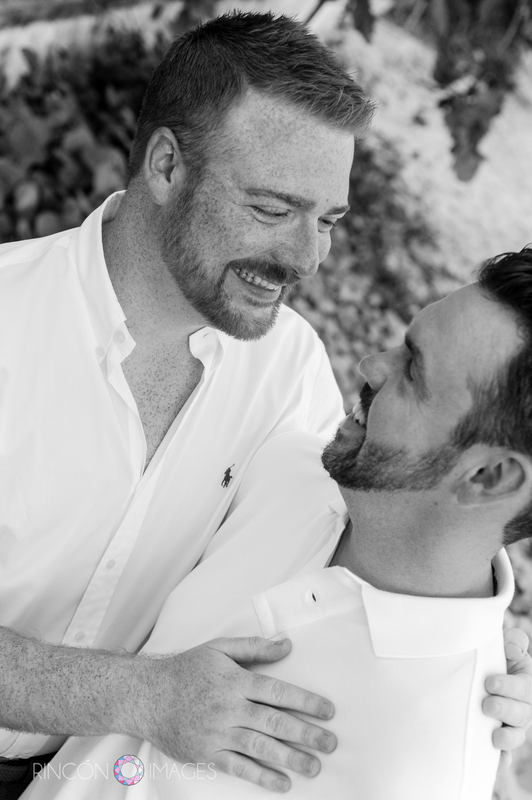 ForReal is a wedding blog about real LGBT couples who are tying the knot. 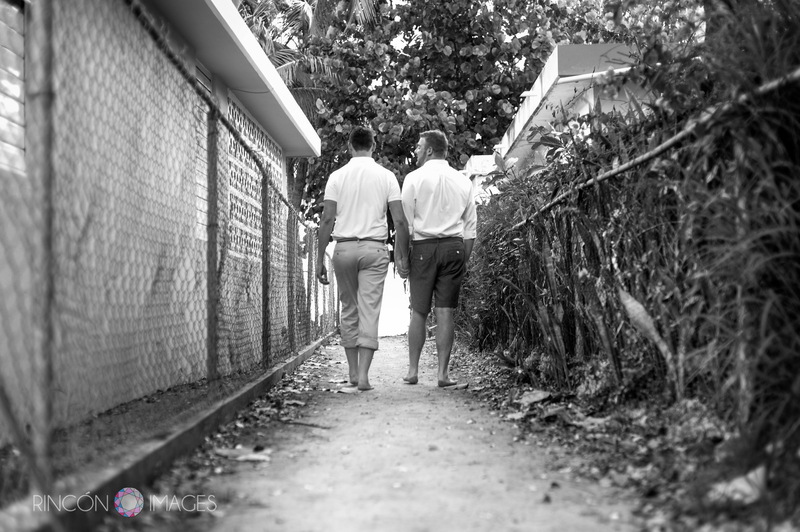 They feature only the best in LGBT wedding photography so it truly is an honor to be published on their blog. This is a video slide show of the photographs from their wedding. 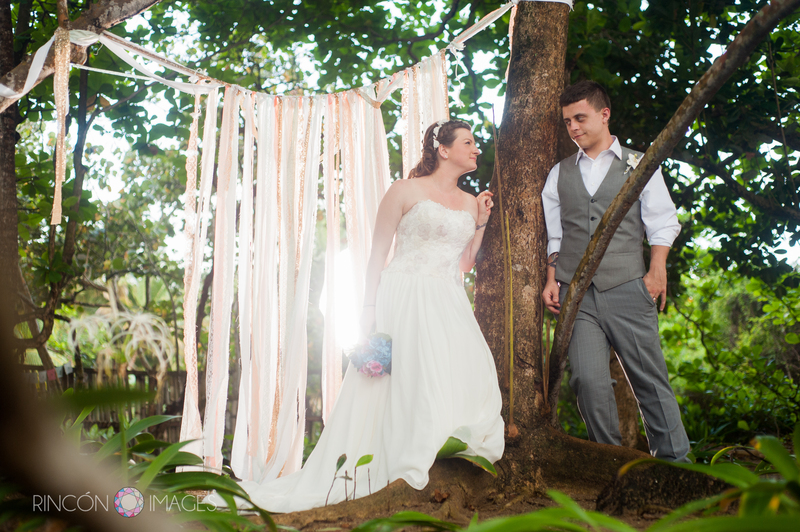 Here are a few more of my favorite photographs from that Arecibo wedding. 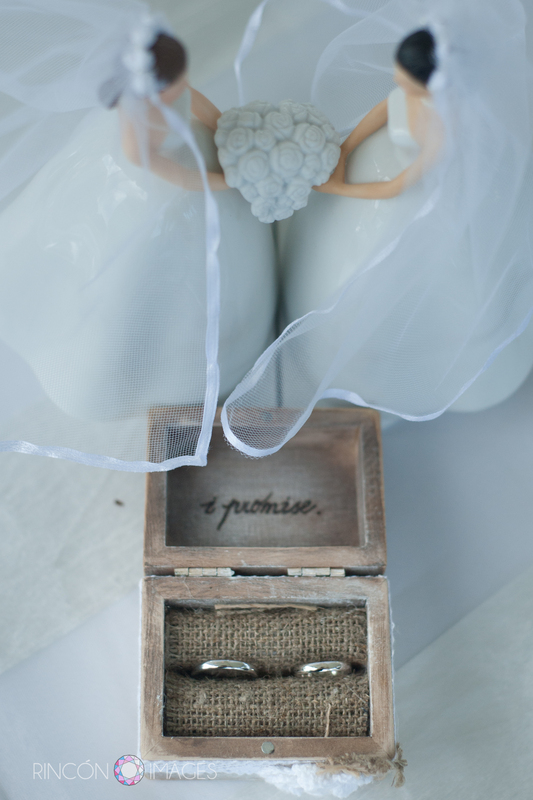 Ariana and Elizabeths wedding rings were kept in a beautiful ‘I promise’ box that was lined with burlap. 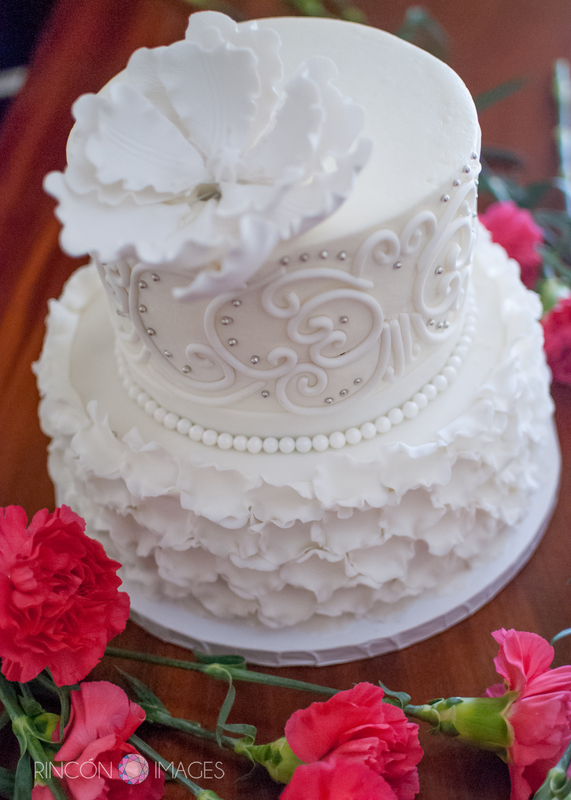 The two bride figurines were a beautiful addition to their cake table decorations. 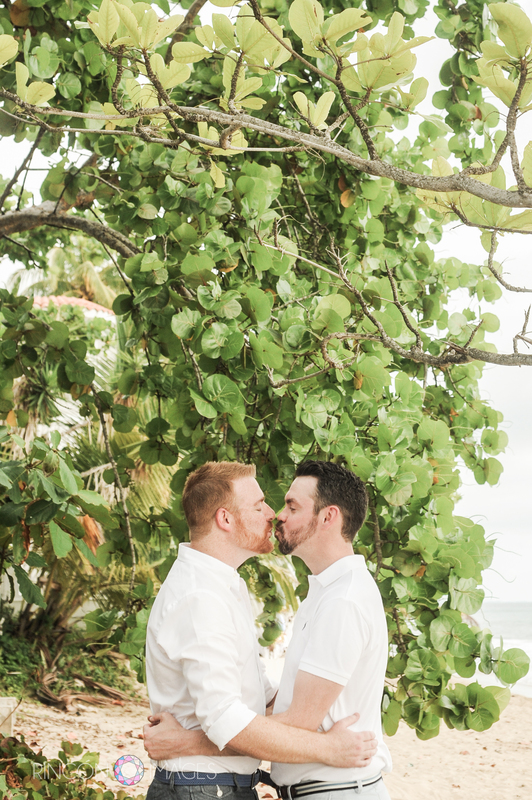 This LGBT destination beach wedding took place on the sandy beach just down from the Arecibo Lighthouse. 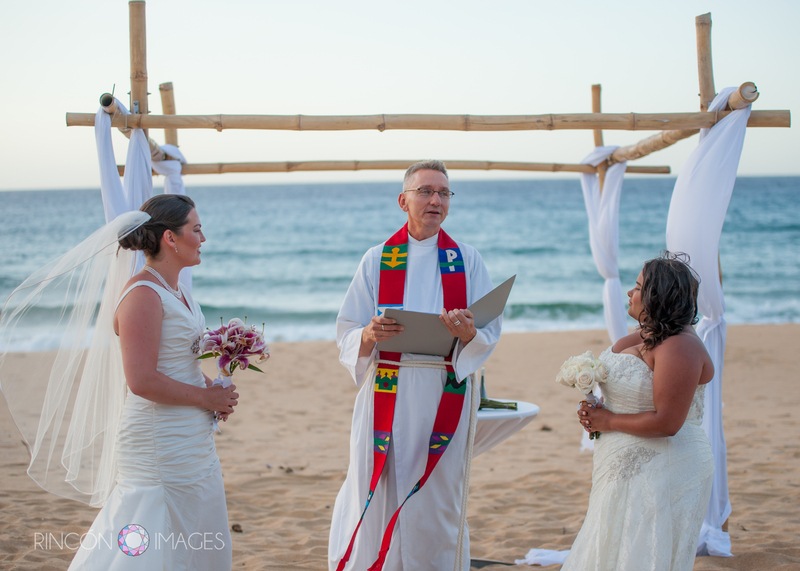 Gay marriage is not yet legal in Puerto Rico, but Mark Bowman performed a symbolic wedding ceremony on the beach in Arecibo, Puerto Rico. 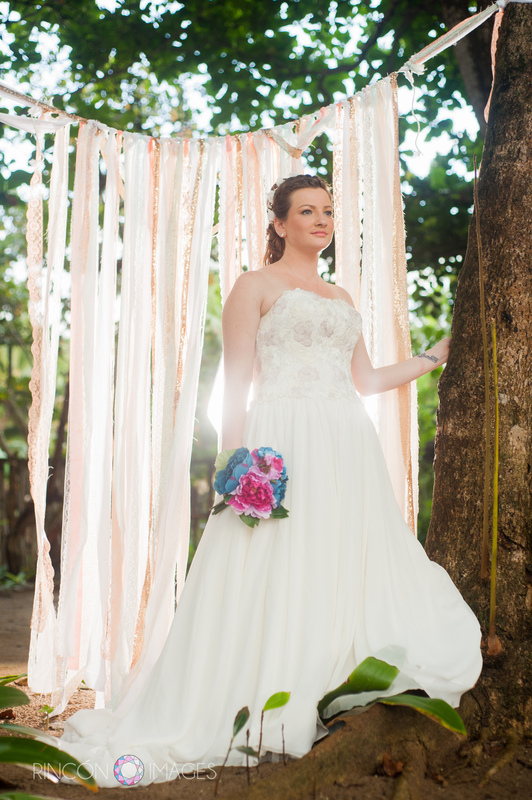 Elizabeth look beautiful in her simple white wedding dress. 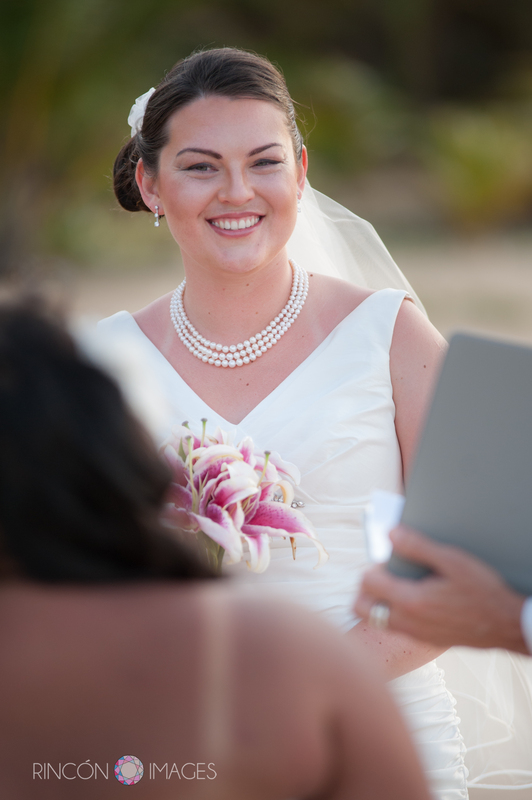 The wedding was filled with ocean inspired details right down to her pearl necklace. 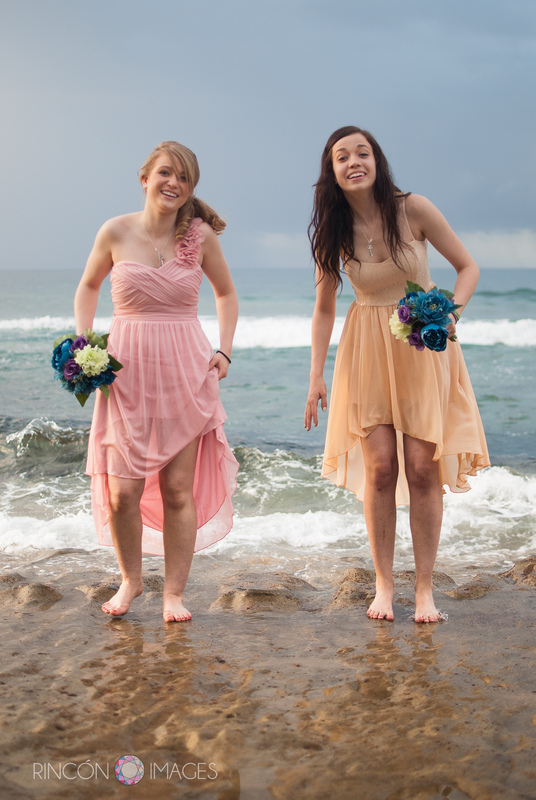 Two beautiful LGBT brides after their wedding in Arecibo Puerto Rico. 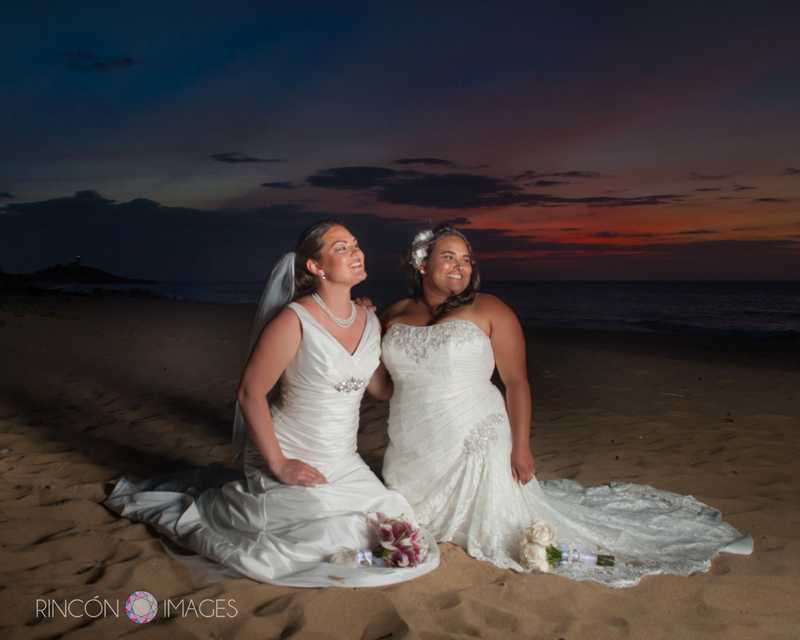 A beautiful sunset with two LGBT brides on the beach in Puerto Rico after their wedding ceremony. 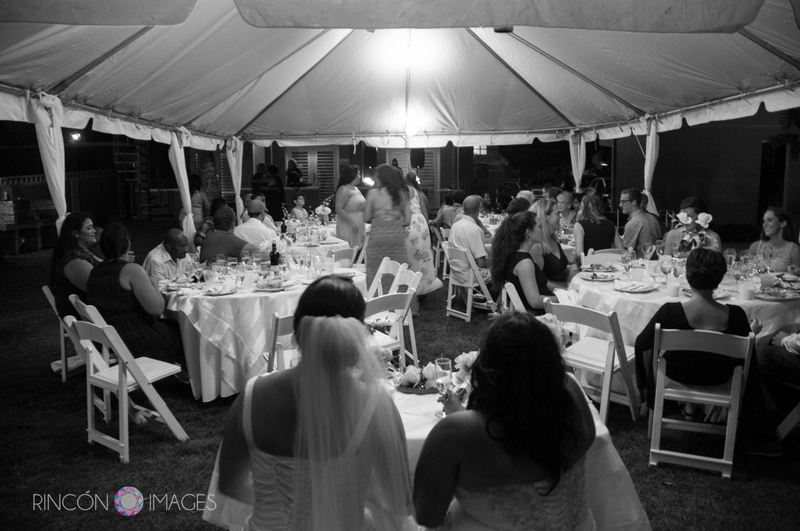 Black and white reception photograph. 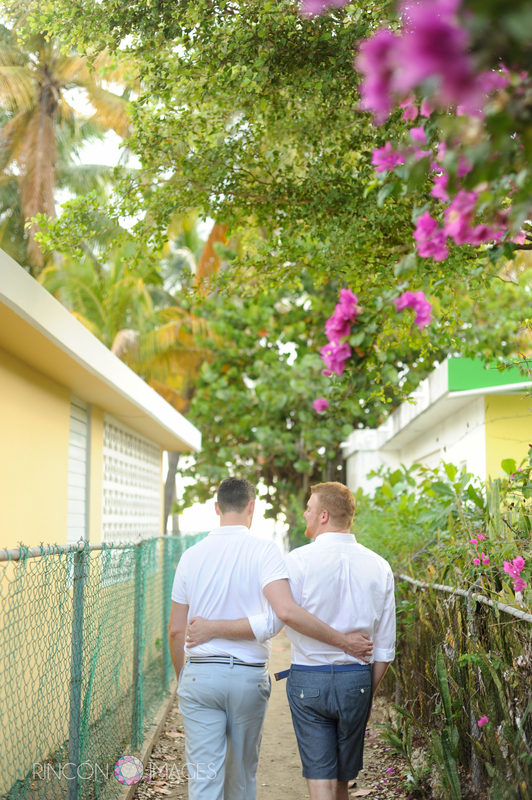 LGBT wedding photography Puerto Rico. 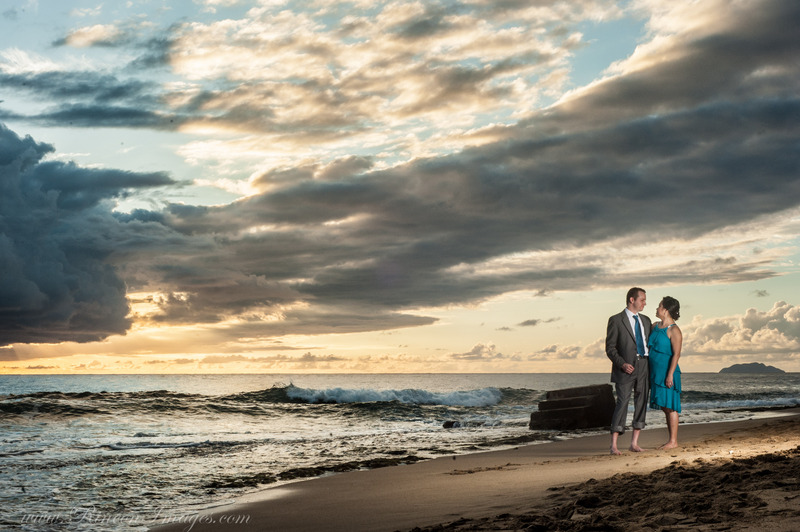 Jill contacted me last summer about photographing her intimate wedding in Rincon. 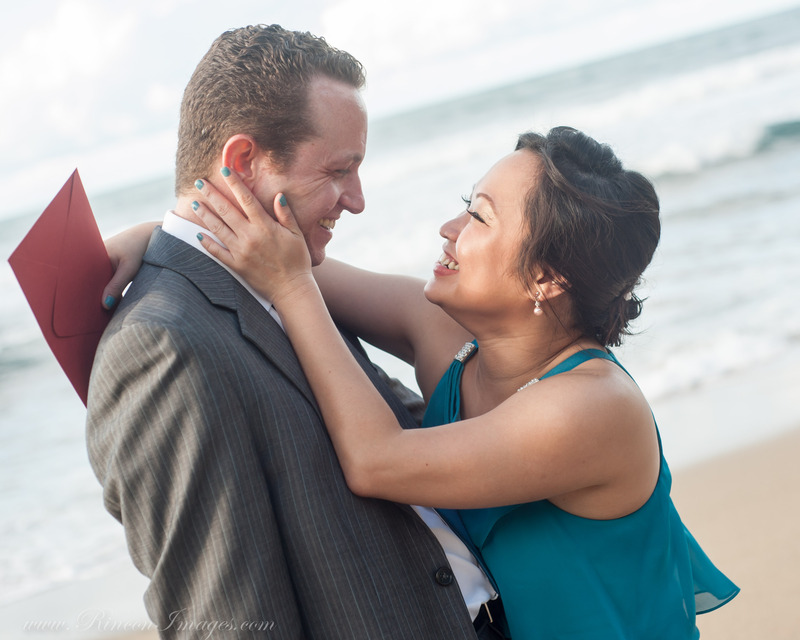 We talked on the phone for a bit about different ideas for places to do wedding photographs. I was so happy when I realized she was a hula hooper! 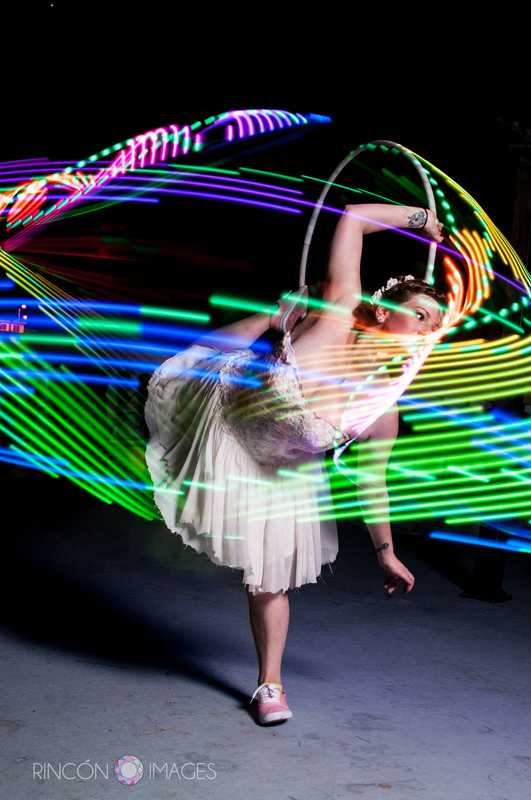 I am an avid hula hooper myself and have several LED hula hoops. After the wedding ceremony my assistant and I went back to the villa with them and made some great LED hula hoop photographs. 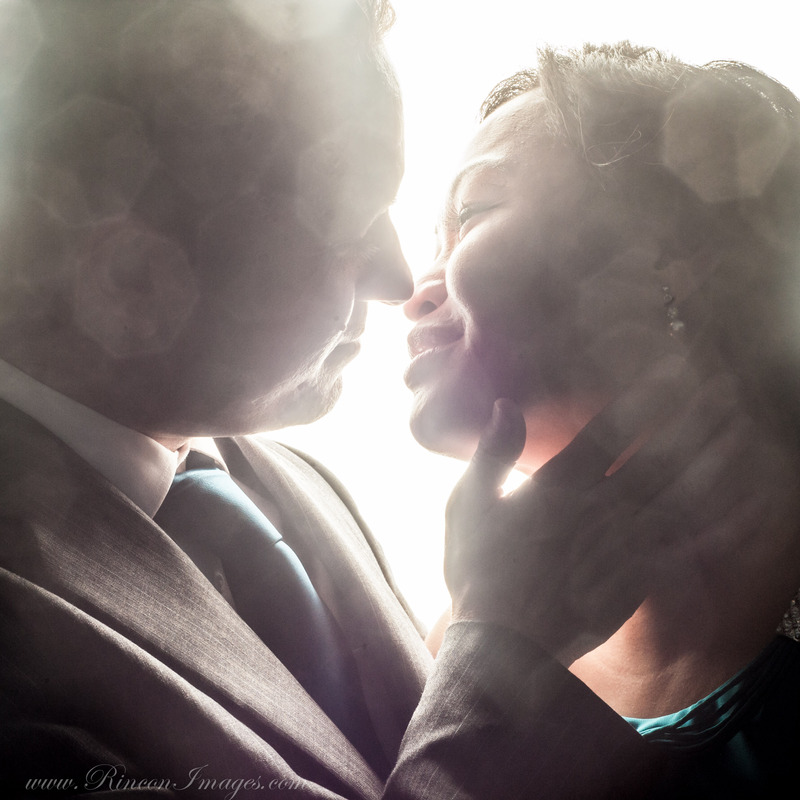 This intimate wedding was a lot of fun to photograph, great people, good times and lots of smiles. 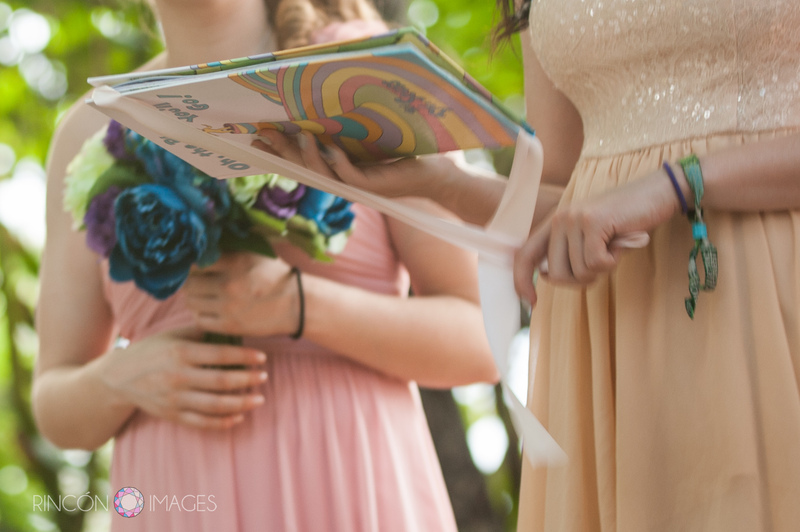 They even read from a Dr. Seuss book as part of their ceremony! Our first date was to see Toy Story 3. It was great because the theater was empty and so we were able to talk through the whole movie. 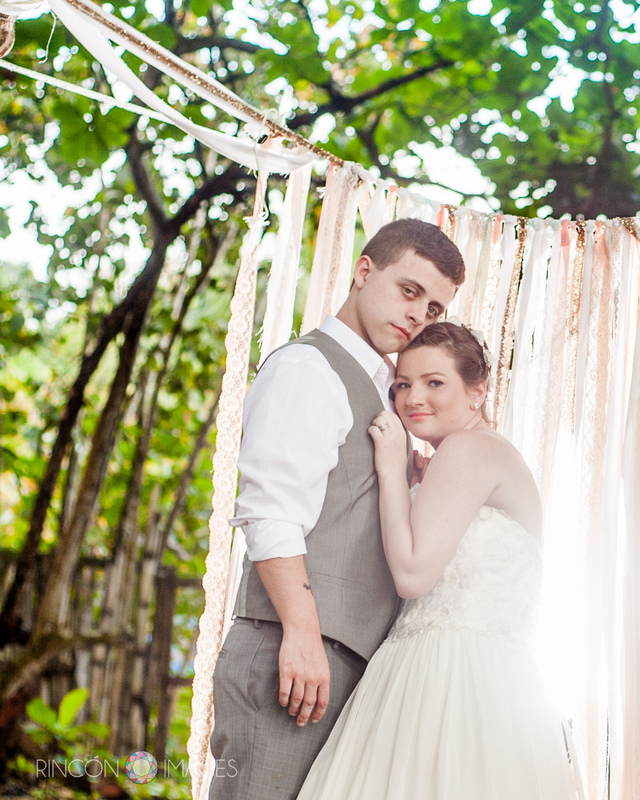 The bride and her groom in front of their DIY wedding ceremony backdrop in Rincon, Puerto Rico. 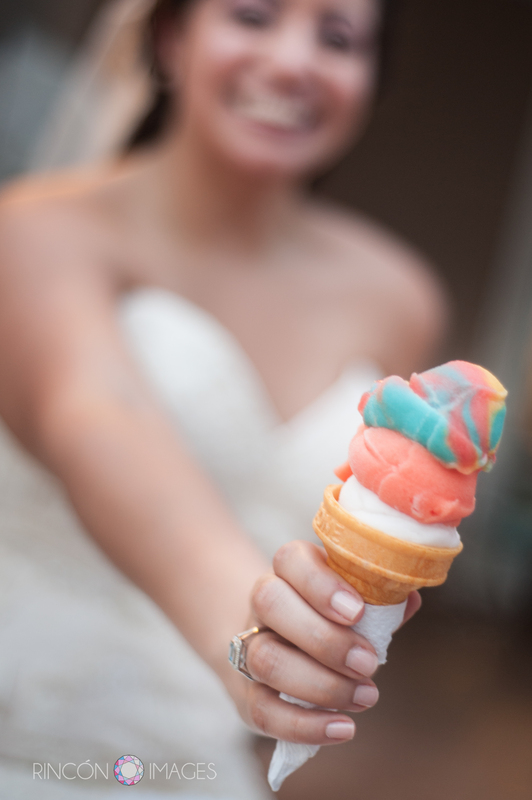 Why did you choose the Barefoot Bodega as your venue? I had seen pictures on the website and I thought that it would be a very peaceful and serene setting for us to be married in. 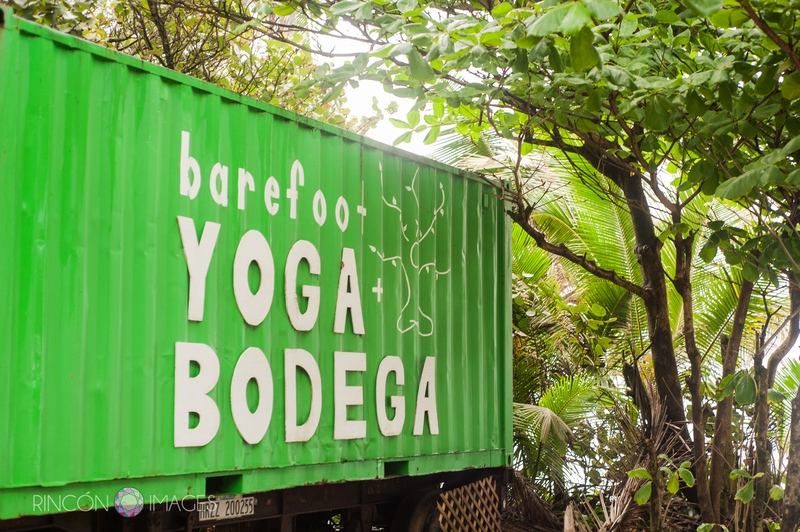 The Barefoot Yoga studio in Rincon, Puerto Rico. 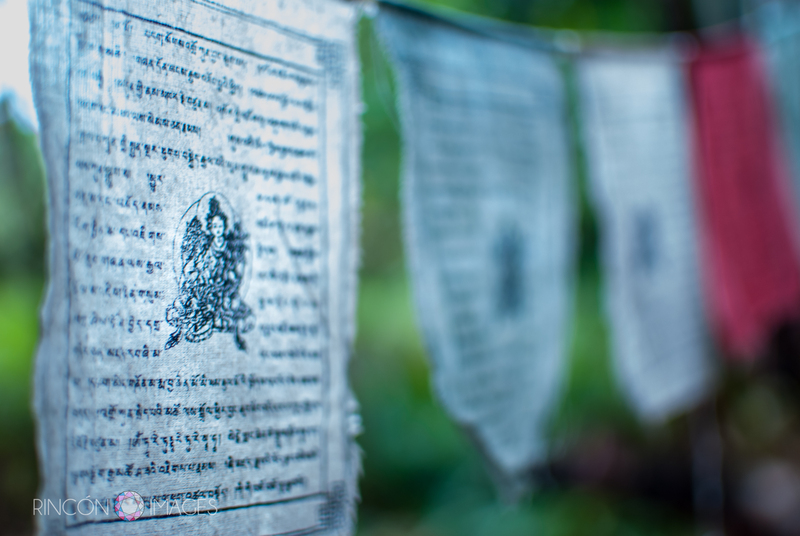 The prayer flags at Barefoot Yoga Bodega add serenity to this already tranquil space. 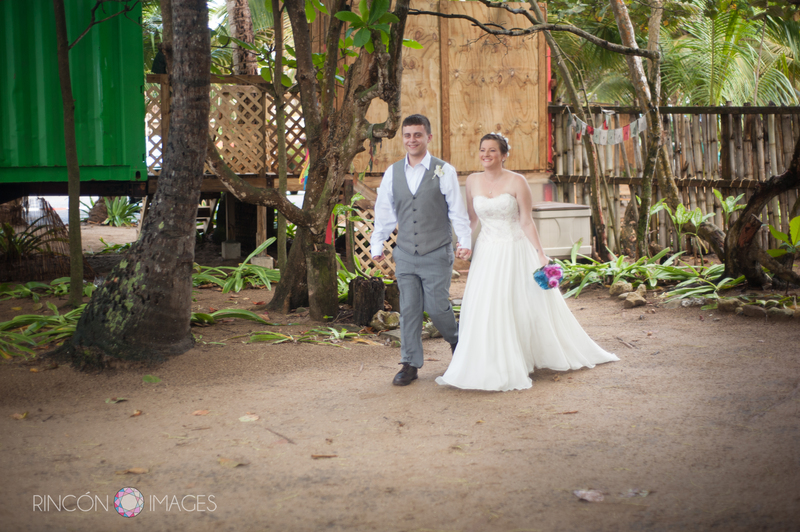 The bride and groom walking down the aisle during their wedding ceremony at the Barefoot Yoga studio in Rincon, PR. 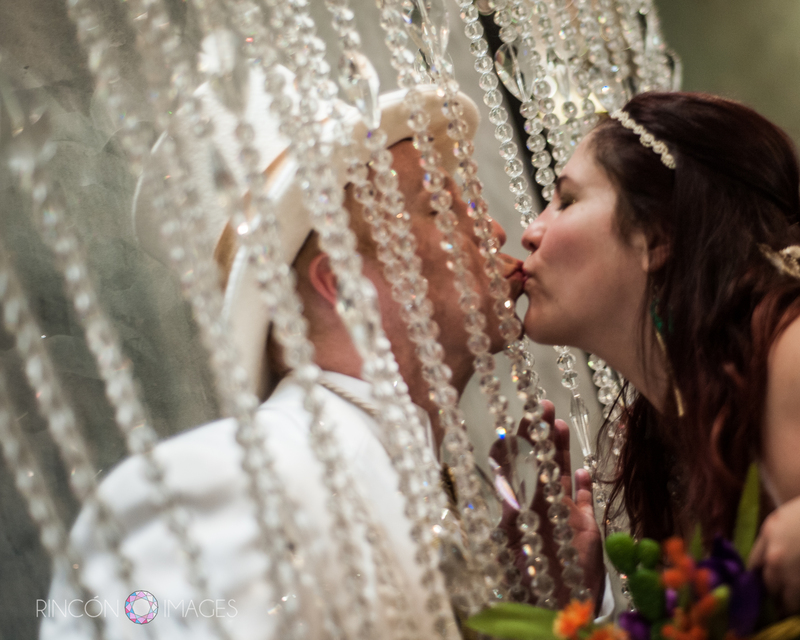 The Barefoot Yoga studio was the perfect location for this quirky wedding. 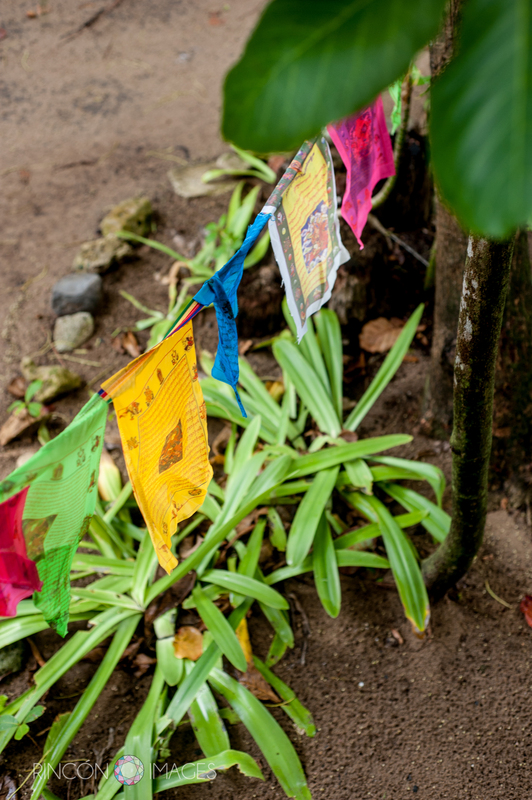 The studio is located right next to the ocean and is shaded by tall sea grape trees. 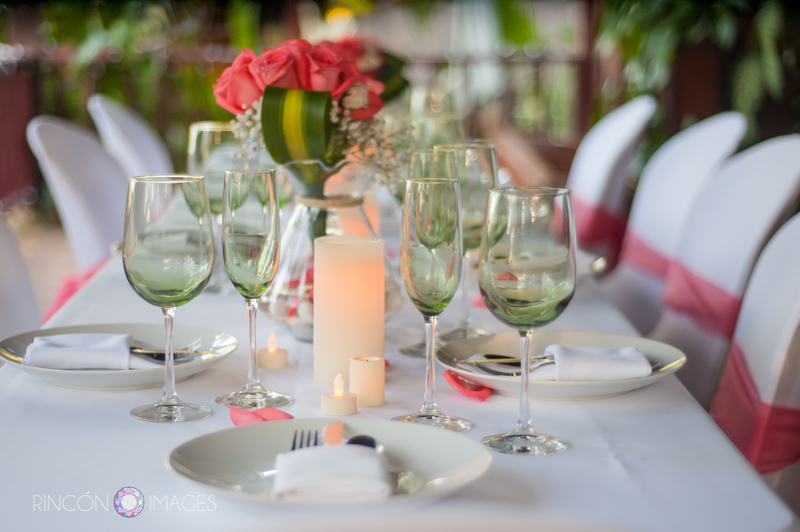 It is a very tranquil and beautiful venue for an intimate wedding. 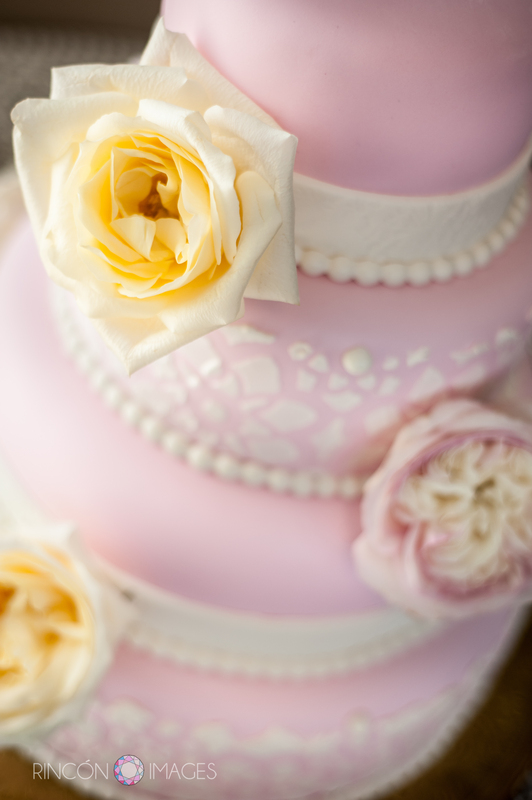 What about your wedding was unique and different? Well the ceremony was something that I wrote, I looked through a lot of scripts and I didn’t feel like any of them really matched us, so that was crafted from scratch. We didn’t have any sort of traditional processional or a unity ceremony or anything you typically see. 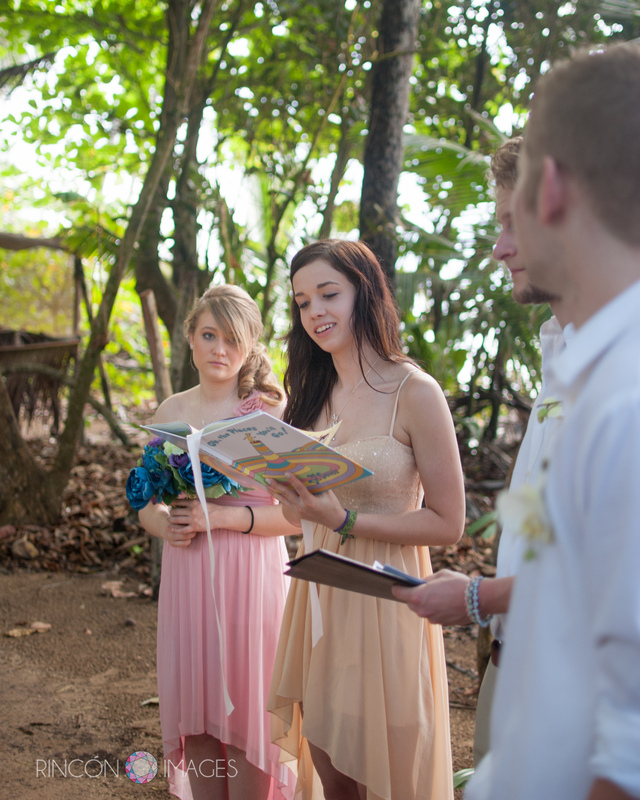 We did a reading from Dr. Suess, a short prayer, said our vows and were on our way. We wanted the ceremony to be short and sweet. We also did not have a typical reception. 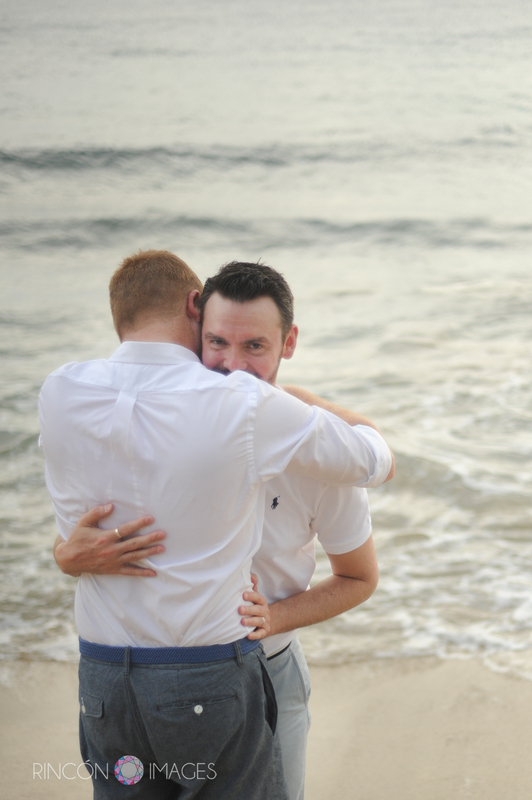 We wanted our wedding day to feel like, our day. I have been to several weddings where I hear the bride and groom talking about how the wedding is for the family and the marriage is for the couple; and I really wanted to avoid that sort of feeling. We tried to focus on who we are, what we like, and what we wanted to do. We played with hoops and listened to music, we eat and drank and danced. It really was just an enjoyable evening and a fun night. The whole wedding day really did feel stress free and fun because of that focus on keeping things down to earth, and us. Jill’s bridesmaid Chloe reading Dr. Seuss during the ceremony. This was a really light playful story with a great message. The center ring is made out of white gold and the bands are made of rose gold; they both also have diamonds are are from Zale’s. Jills beautiful wedding ring. 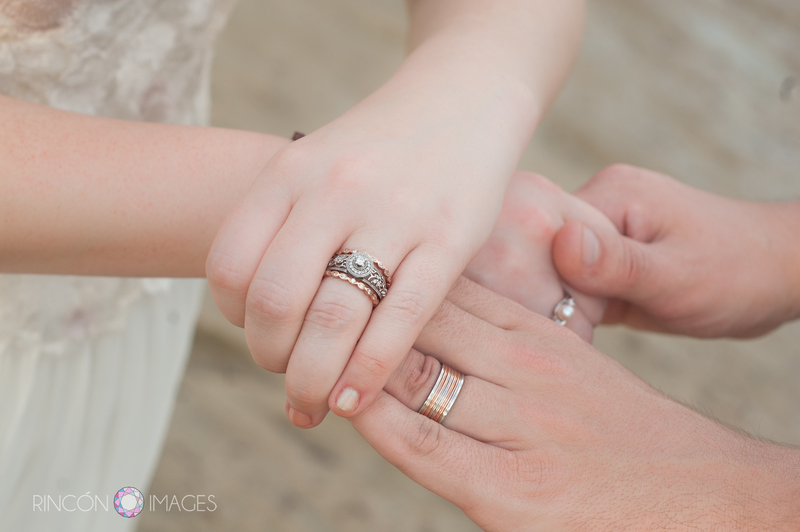 I love the vintage style of this wedding ring. 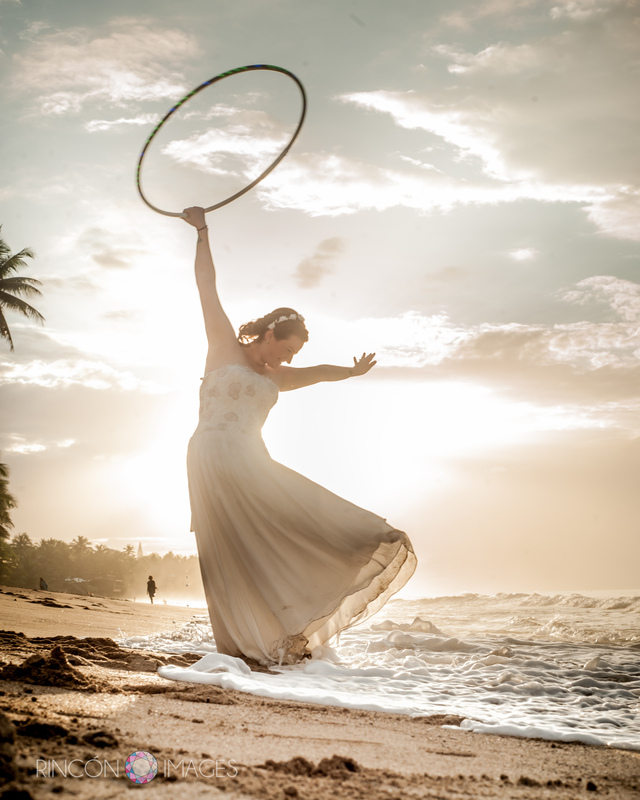 Jill with her Hula Hoops on the beach in Rincon, Puerto Rico! I am excited for our future adventures. We both love to travel and we want to see the world and I’m really excited to do and see as much as we can. Goofing around on the beach after the ceremony, the bride makes a funny face. 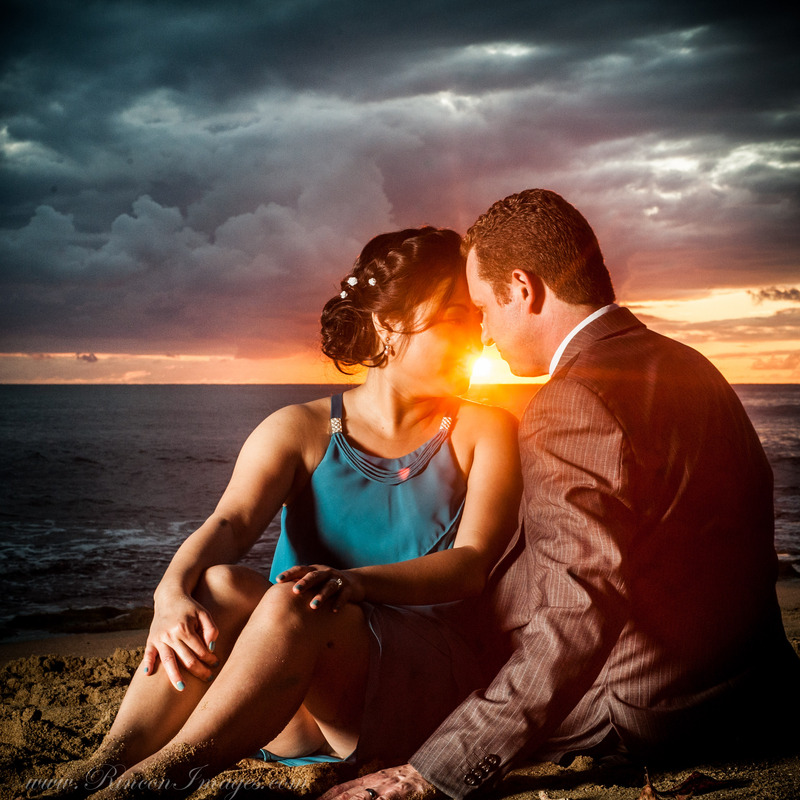 Why did you choose a destination wedding in Puerto Rico? 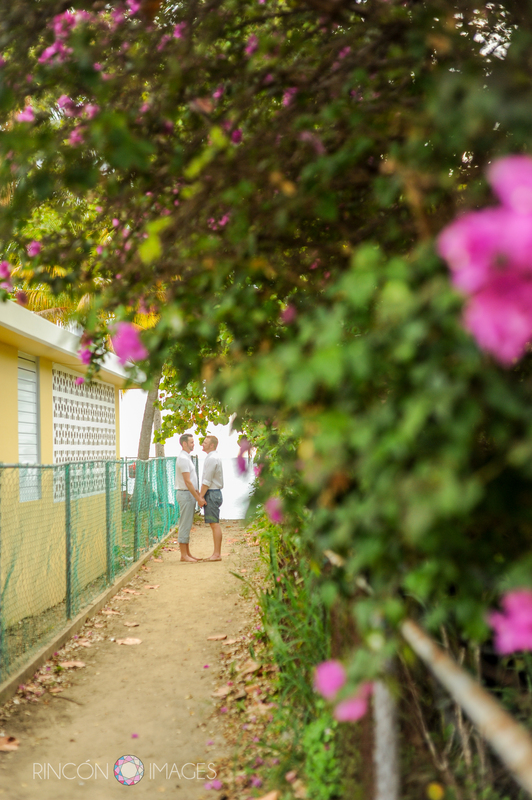 We really love Puerto Rico, we went last year and fell in love with Rincons’ whole atmosphere, it is where he proposed. Once we decided we wanted to do something destination, Puerto Rico just made sense. Feeling free! 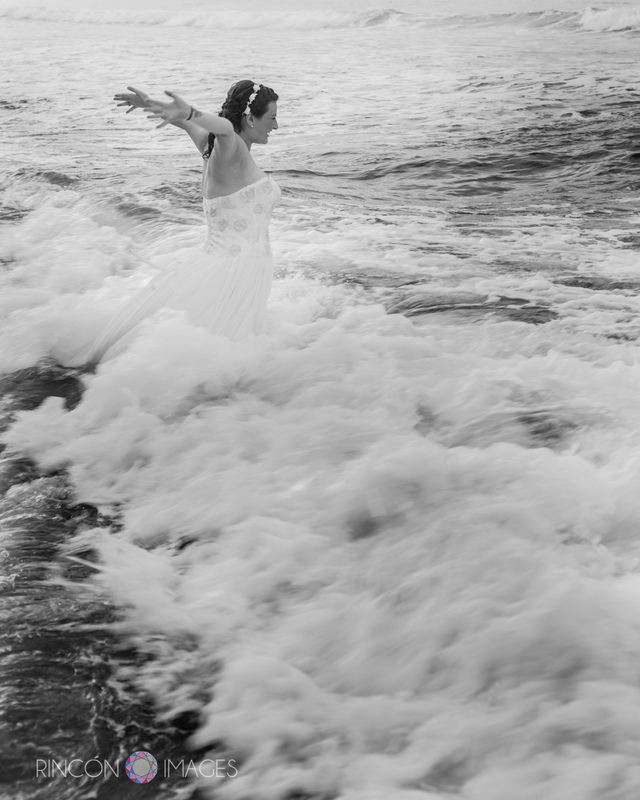 Jill takes the plunge after her wedding for some fun ocean pics. I have a lot of favorite memories from the trip but I really enjoyed doing yoga at the Barefoot Bodega. The day before the wedding we had a private class there and it was just a really great way to relax and take a deep breath before the big day. 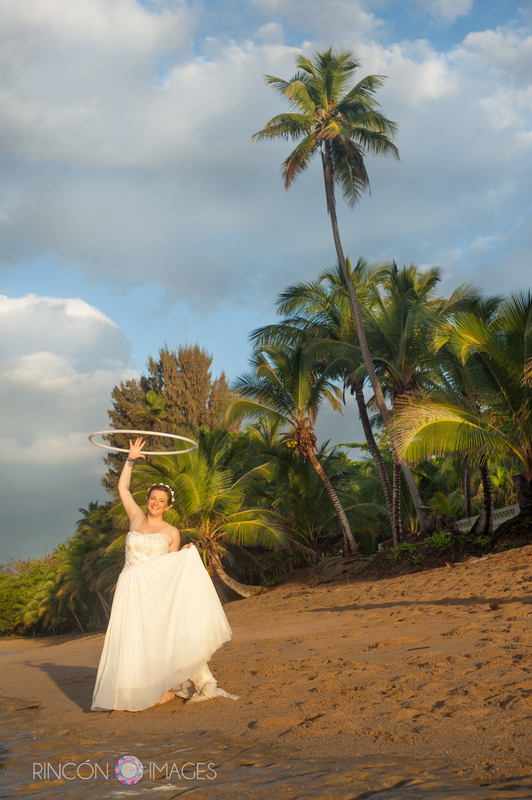 Jill hula hooping on the beach in Rincon, Puerto Rico after her destination wedding. This was a lot of fun to photograph! 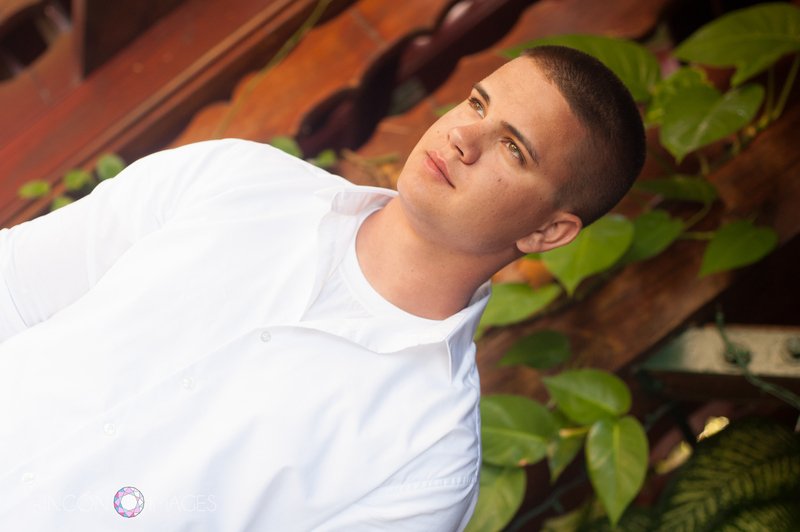 Why did you choose Rincon Images photography? How did you find us? 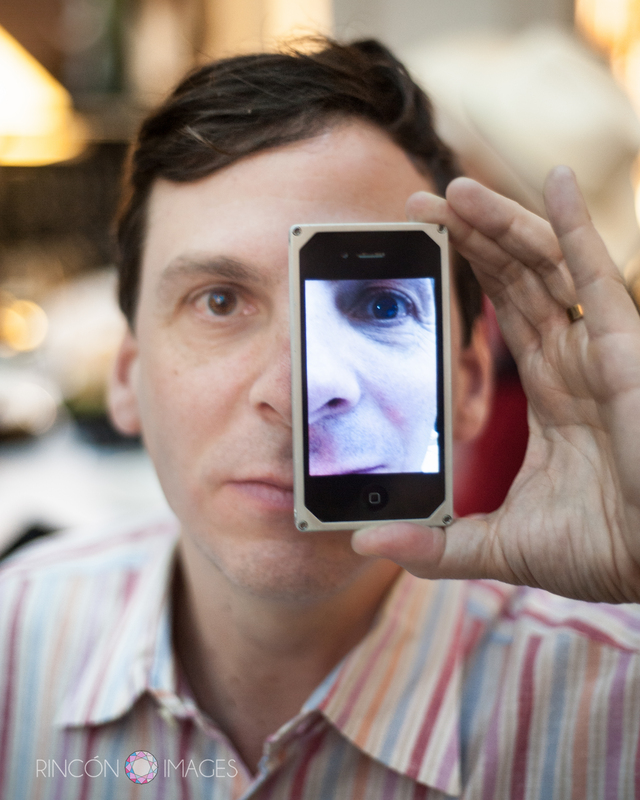 I really liked the work on your website peculiarly the “& More” section. My favorite thing about the wedding day was just hanging out at the villa at the end of the day. Hooping, music, talking, hanging out, eating, it was just a really fun and relaxed night. We really wanted our wedding day to feel genuine to our every day lives, our number one goal was to keep things simple and as relaxed as possible and I think that we achieved that goal. The bride and groom on the beach with their friends after the ceremony. A nice simple, fun wedding with great people. Jill doing her thing on the beach, rocking that hula hoop! I love it that the sun is right behind her in this photograph, it look so magical. My favorite detail was the backdrop for the ceremony. It was our only actual decoration and I’m really glad that it stood out. Jill’s streamer backdrop was simple and beautiful. 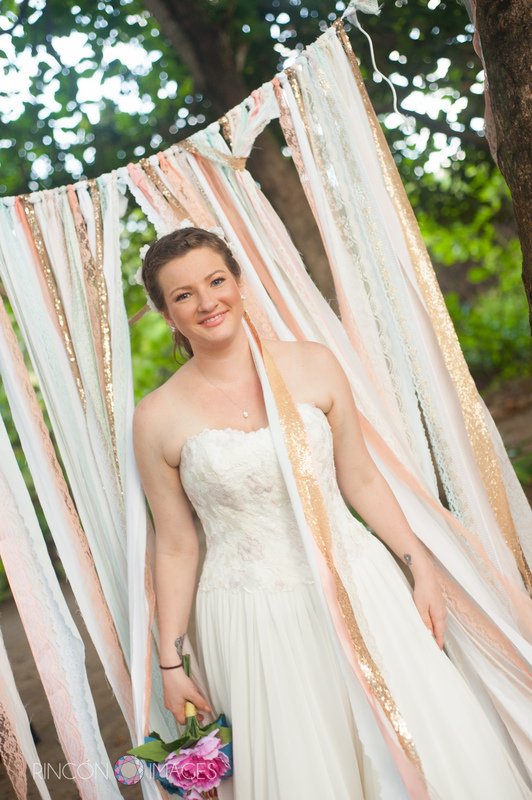 I loved the combination of lace, silk, and sequined streamers. 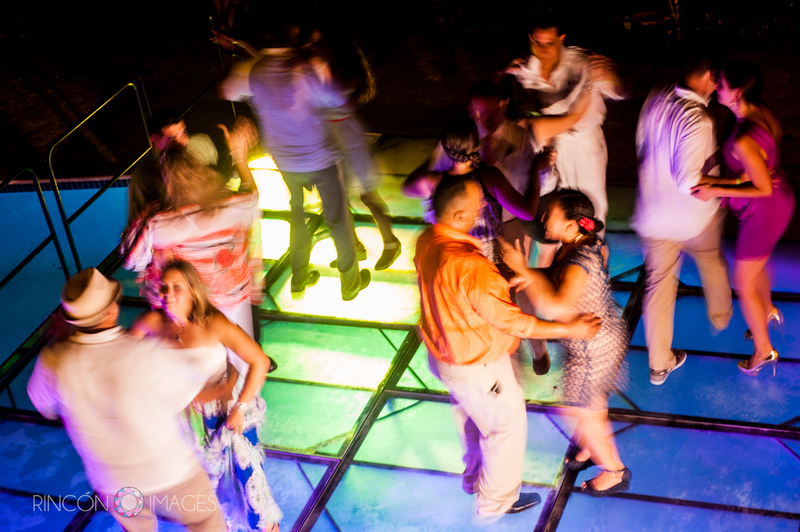 Tell us a little bit about what you did after the ceremony.. dinner, dancing? After the ceremony we walked around on the beach, stopped by the bar for a shot, and then we went back to the villa we were staying. We spent the evening eating skewers and flan, listening to music, hooping, and relaxing. 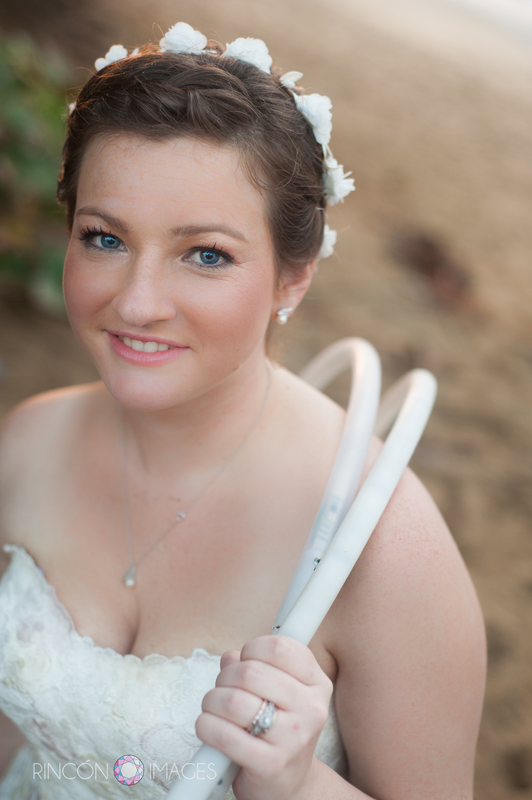 What advice do you have for brides having professional pictures taken for the first time? Hire Frances! No one in our whole group has ever taken professional photos before and so no one really knew what to expect for the picture portion of the day, and honestly we were kind of dreading it. We were expecting to be asked to stand in a line doing the same things over and over and that’s not at all what happened. I really liked how you were able to guide us and make us feel really comfortable throughout the whole day while allowing us to keep our identity. How many dresses did you try on before you settled on the one you wore for your wedding day. Where did you find it? I actually purchased two previous dresses, when I bought my first dress we were planning on a big family wedding, and so when we scratched that idea I also canceled the first dress. I then bought a tea length dress, but between the time I bought the dress and around the time of the wedding I went from a size 14 to a size 6, and the estimates for the alterations were more than what I paid for the dress. The dress I ended up wearing; I bought about a month before the wedding. How did you get the idea to cut your wedding dress so you could hoop in it? I loved that idea! 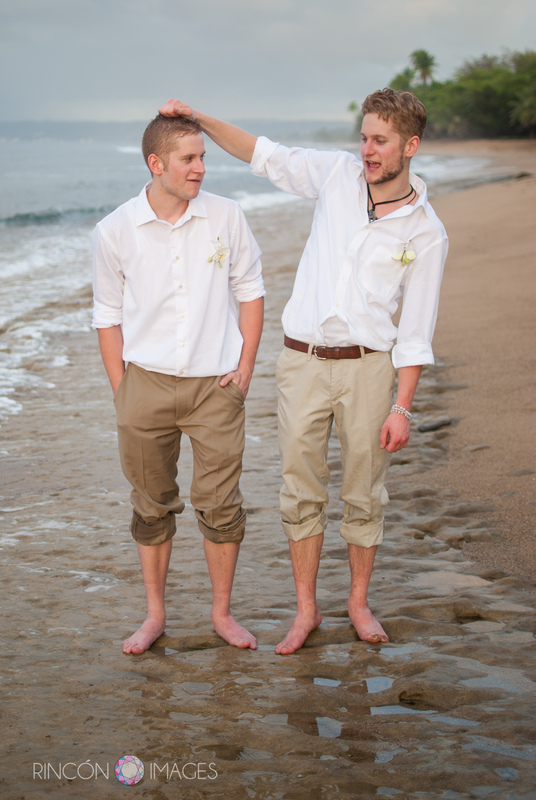 When we were on the beach, I was trying to hoop in the dress and the tool kept catching under my feet and tripping me. I knew that the dress wasn’t going to be worn again and I didn’t want to go just put on any old thing so I figured why not? I had someone find me a pair of scissors so I just started cutting. Matt helped for awhile and then my bridesmaid Chloe evened out the final look. 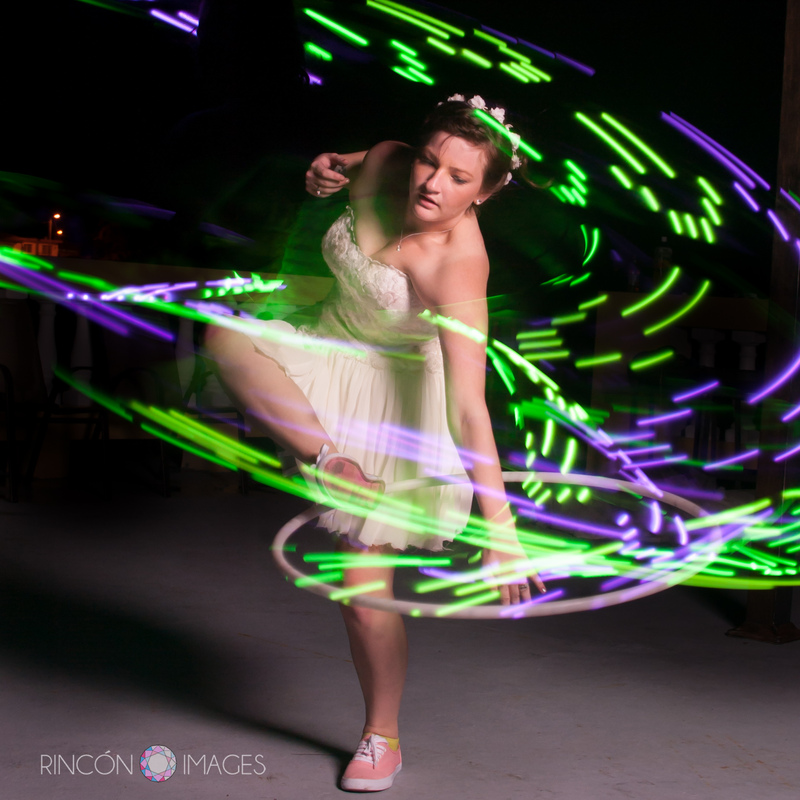 The bride hula hooping with an LED hula hoop after the wedding. 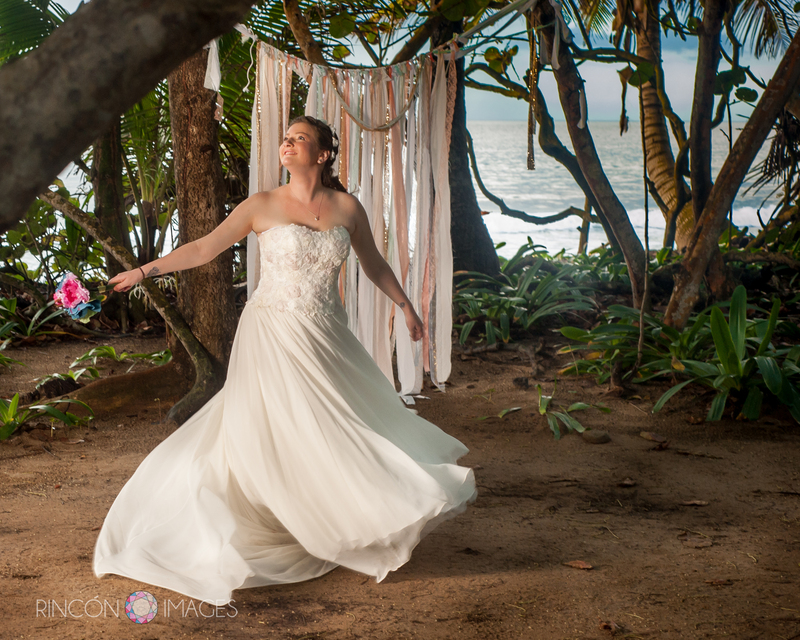 Jill cut off the bottom of her wedding dress so she could hula hoop in it after the wedding. Such a great idea! The ability to take things as they come. We have not been married for very long, so we are no experts but I think that it’s a desire to be together and the ability to push each other to being better people that makes things last long term. 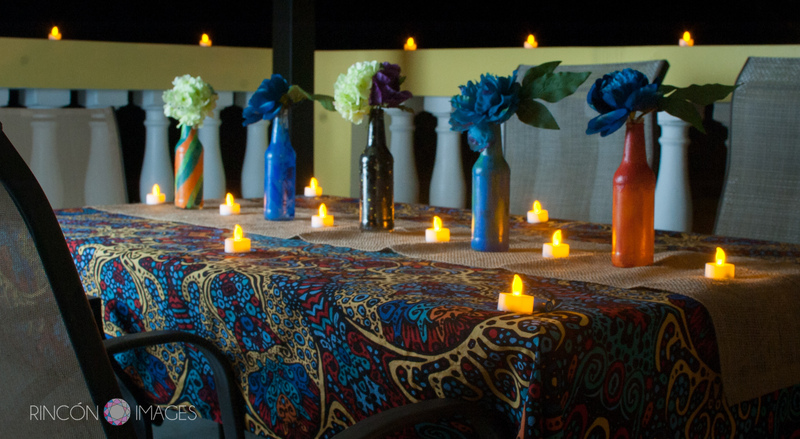 The couple decorated their table with DIY painted bottles and small led tea light candles. The look was very tropical and bohemian. 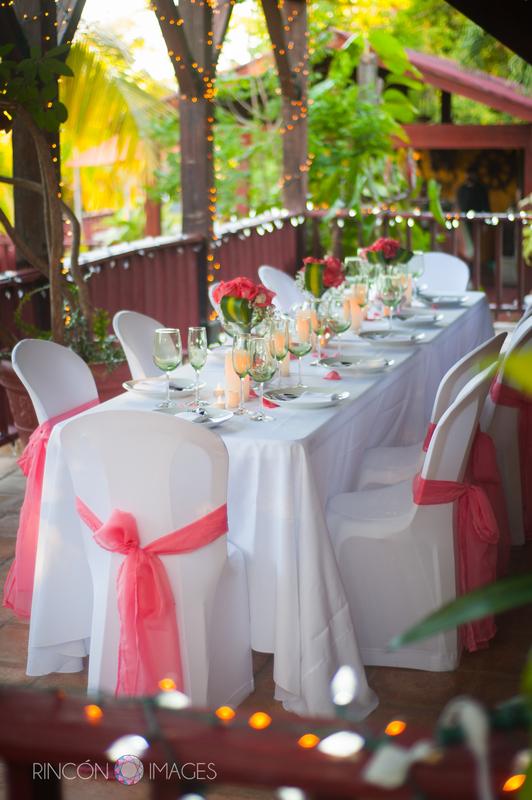 When planning your wedding what were your favorite places to look for inspiration? My number one source of inspiration was Offbeatbride. I checked it pretty much daily to see cute centerpieces, adorable shoes, funky dresses, and everything in between. I actually bought several dresses off of modcloth after seeing their vendor posts. 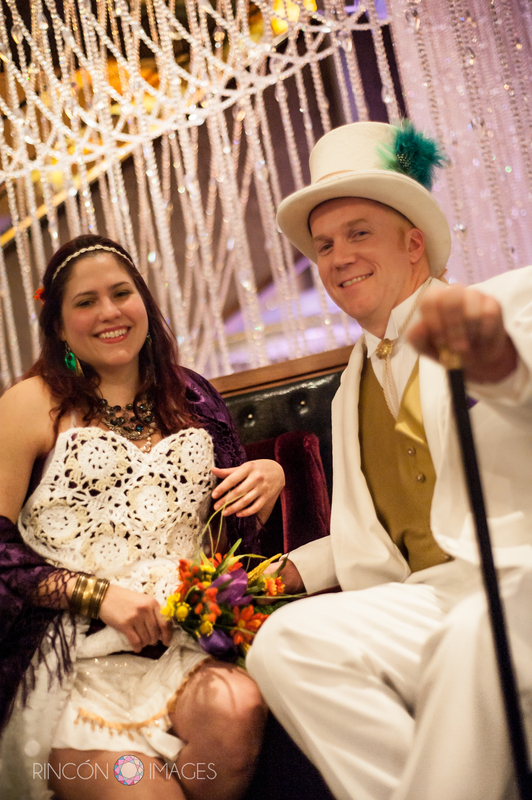 Offbeat bride was just a great place to see a different side of the typical wedding world. I would have remembered to take the hair tie off my wrist! But really, I think that the day was perfect. 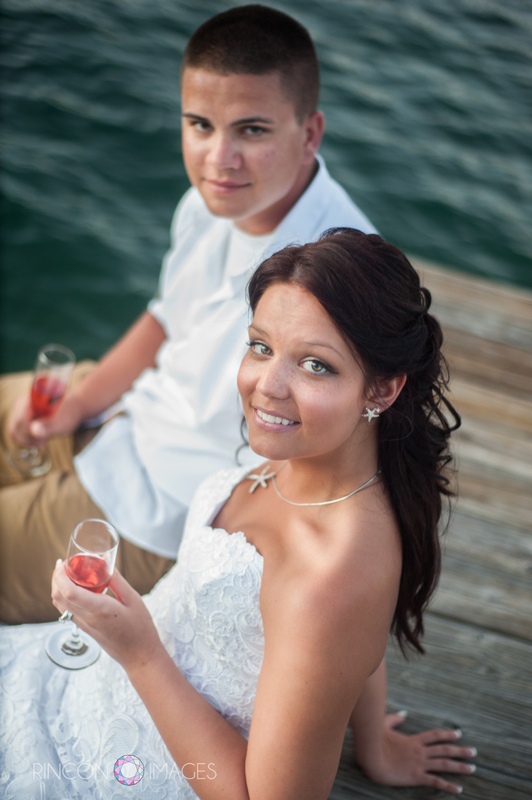 Lyndsay and Marshall have known each other since they were children. 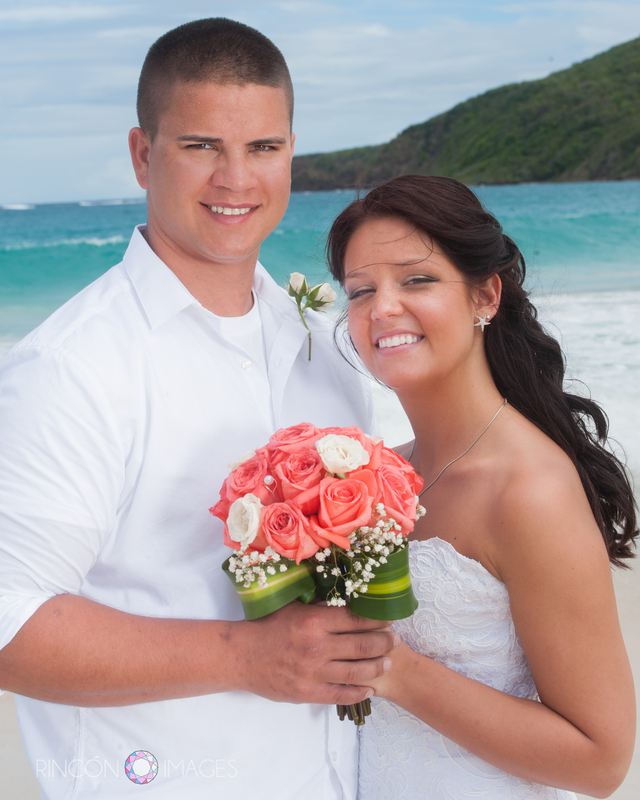 They have been lifelong sweet hearts and finally tied the knot on Culebra Island in Puerto Rico. 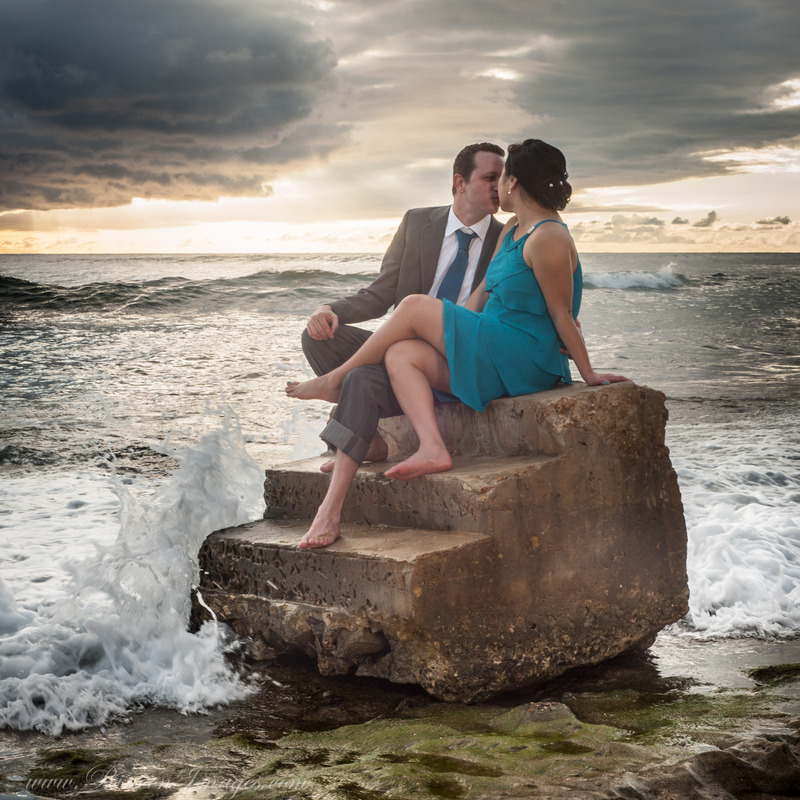 I was so excited to have the chance to photograph their wedding on Flamenco Beach. 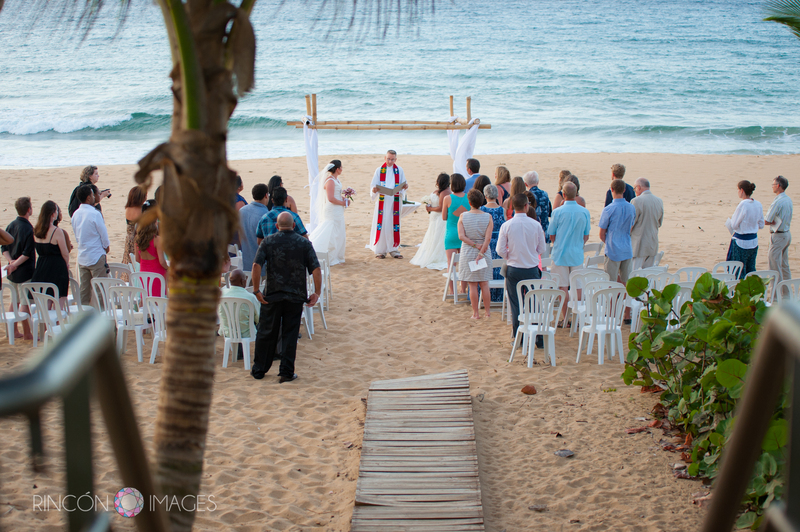 Flamenco beach is ranked the third most beautiful beach in the world, it is always a pleasure to photograph weddings there. I asked Lyndsay a few questions about love, marriage and how she and Marshall met. Check out the photographs from their wedding day and her answers below. “Love isn’t finding someone you can live with, it’s finding someone you cannot live without.” Marshall and I have this quote hanging on the wall at the foot of our bed so that we see it every morning. Let’s be honest, we’re all human and are bound to get on each other’s nerves, but it’s never giving up on your spouse.. even on their worst days, if you are understanding and there for each other 100% of the time, you will live a good, lifelong marriage. 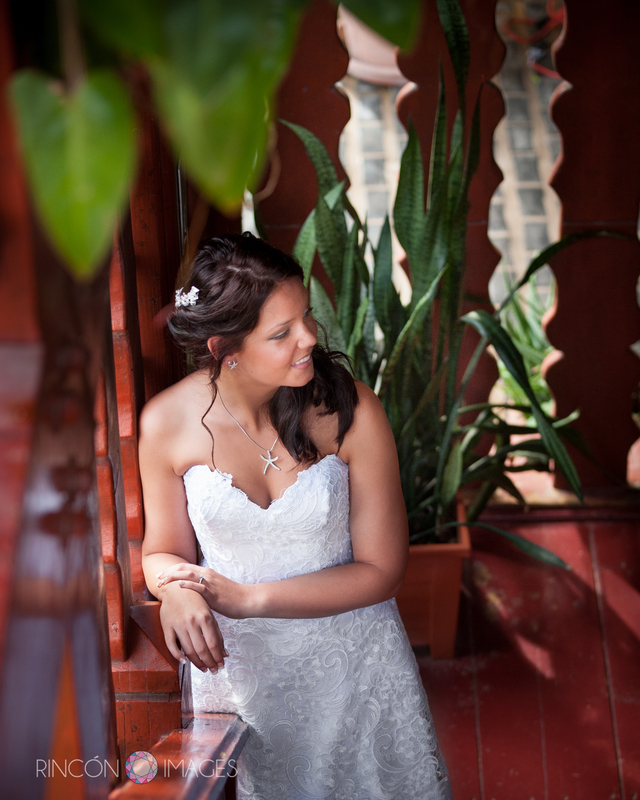 Lyndsay was nice and relaxed the day of her wedding. It was great to finally meet her after several months of communication via telephone and email. 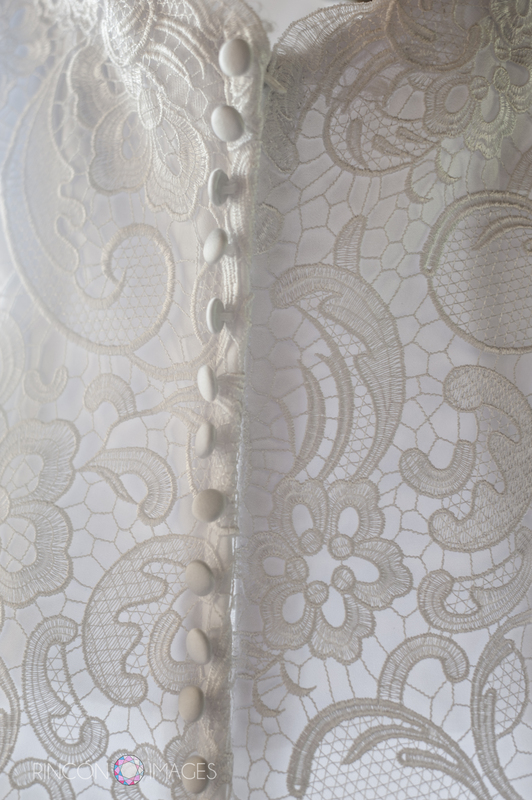 Lyndsays short lace wedding dress blowing in the island breeze. 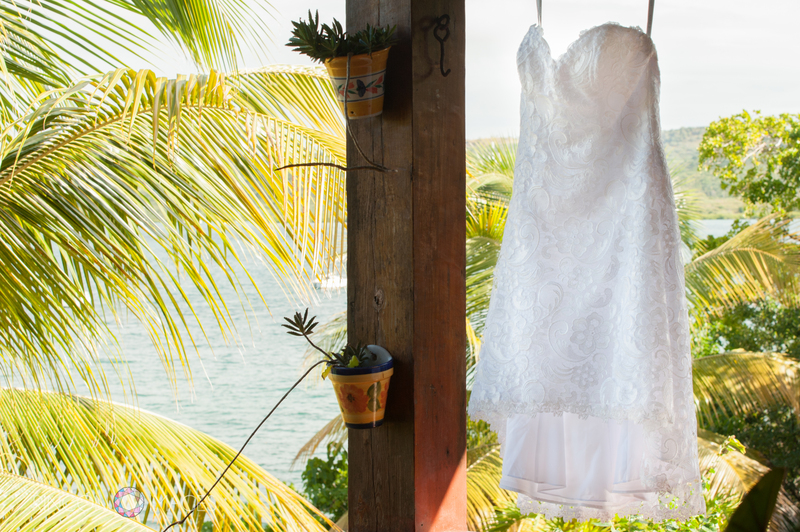 This wedding dress was the perfect choice for their Culebra Island wedding. 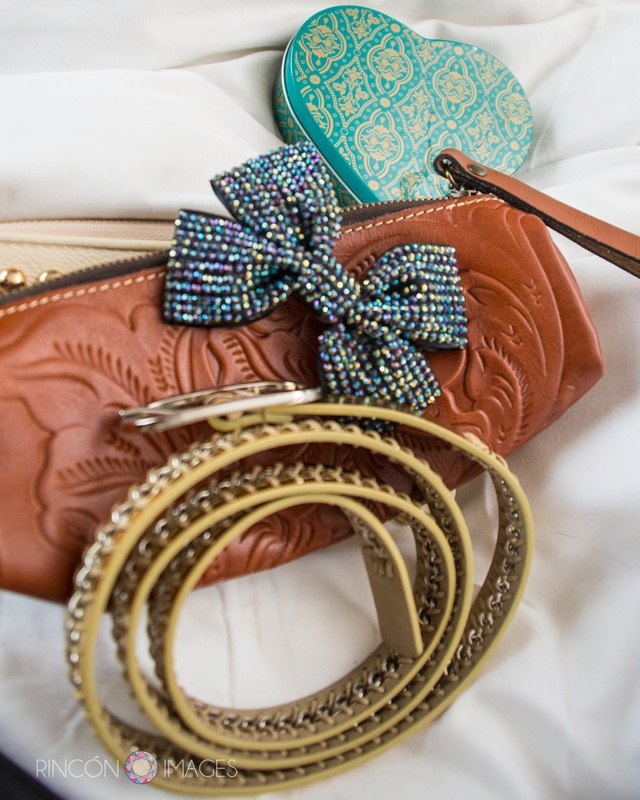 I loved all of the bridal details Lyndsay chose to wear on her wedding day. The starfish necklaces looked wonderful on her and her family members. The sparkling hairpiece was my favorite, it really dressed up her short lace beach wedding dress. When did you and Marshall fist meet? We went to the same middle school.. Marshall was two years older than me. We became best friends when I was in 6thgrade (2006) and started dating in 2007. Marshall, the groom, enjoying a quiet moment before heading to the beach for the wedding. 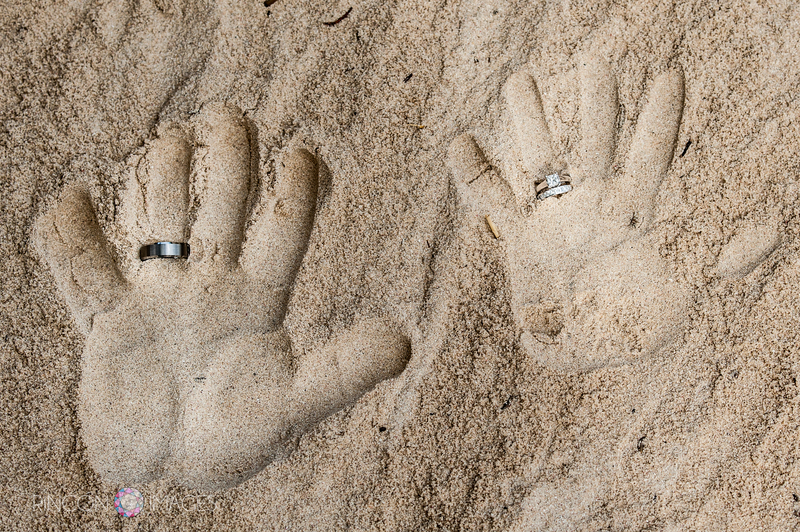 My favorite thing about our wedding was when I first stepped foot into the sand and laid eyes on the amazing set up that Peri had created for us. Seeing Marshall standing under the coral and white pergola just gave me goose bumps.. This is really happening.. Apparently, there was a bad storm the night before that ruined the pergola and she had to completely redo everything minutes before the ceremony. I thought oh well… no matter what it looks like I will be Mrs. Marshall Olson today. Once I saw how beautiful it was I couldn’t even believe Peri was fussing around. It was an absolutely magical sight that we will never forget. 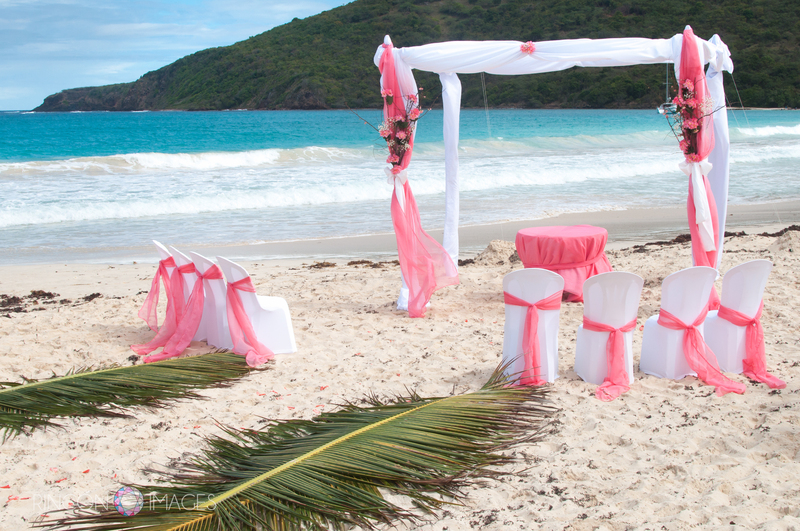 The beautiful setup at Flamenco beach on Culebra Island, Puerto Rico. Flamenco beach is ranked the third most beautiful beach in the world. 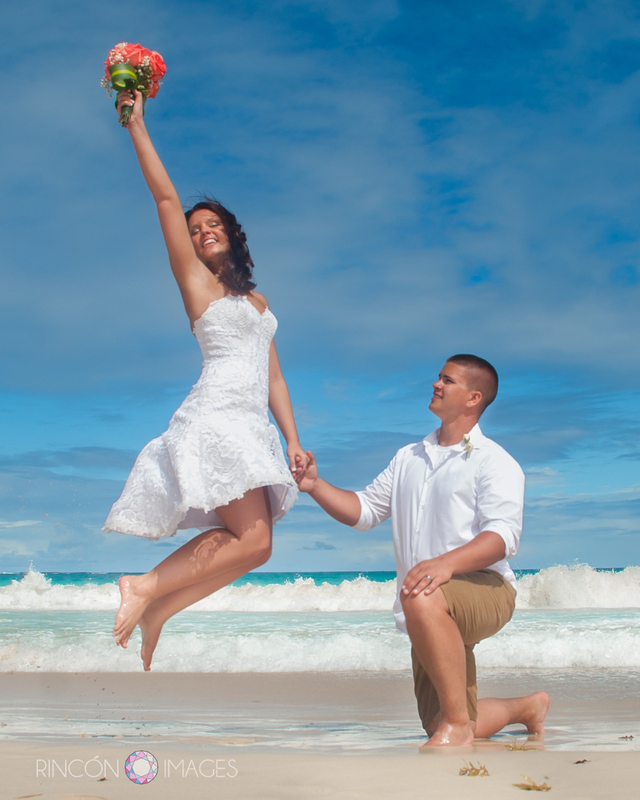 Flamenco beach is a gorgeous place for a wedding photographer to take pictures of a happy couple! December 30, 2013 we were curled up on the couch watching TV and I told him we needed to go get balloons because the 31st is my little sister’s birthday.. I had to freshen up before we could go and he went out to start the truck. When I came out to put my shoes on.. BAM there he was on one knee.. I was so surprised I didn’t know how to react but start crying and shake my head yes. When we first starting talking about marriage, I said I didn’t want a fancy proposal.. this couldn’t have been more fitting for us. So casual and I wasn’t suspicious at all! 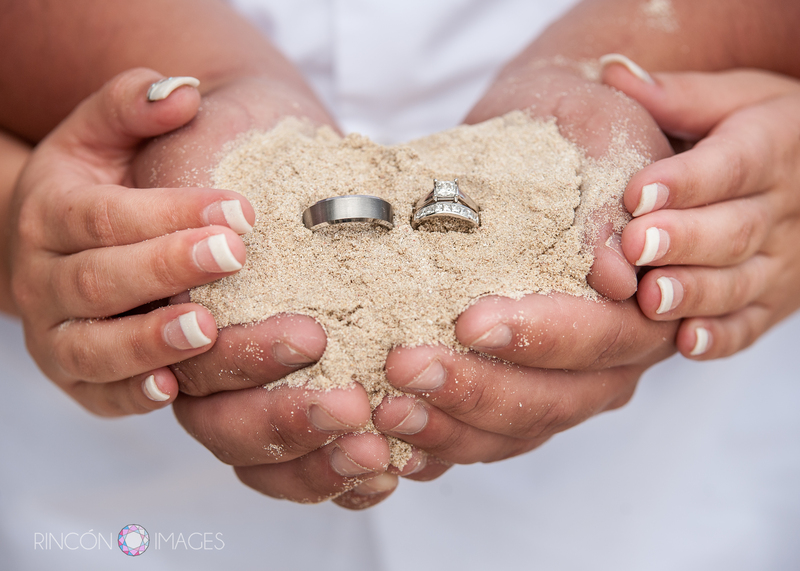 Lyndsay and Marshall holding their wedding rings in a handful of sand from Flamenco Beach on Culebra Island. When I think about spending the rest of my life with Marshall, it excites me to no end to think about the precious little family we will eventually make. Step by step we are slowly molding our lives around the children that we hope to have and cherish in the future. 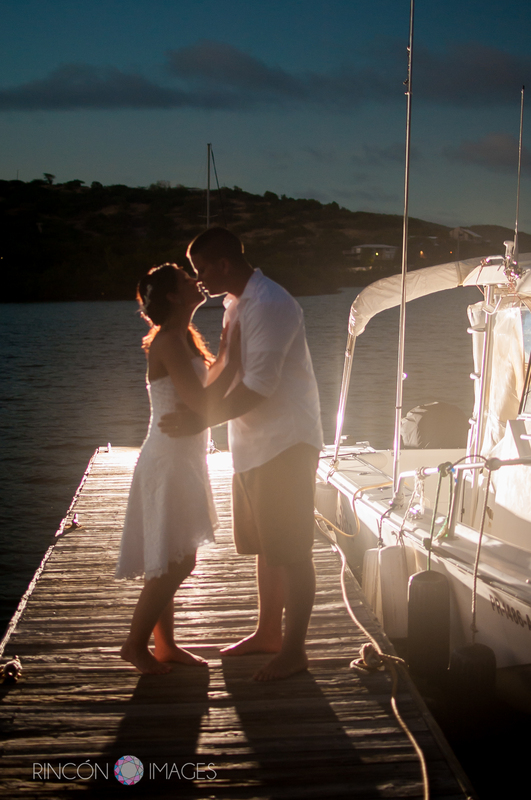 Why did you choose a destination wedding on Culebra Island in Puerto Rico? 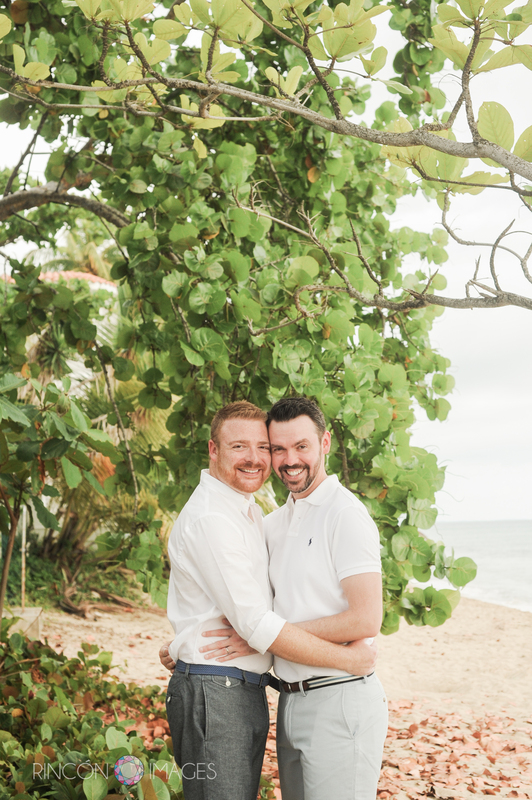 We chose a destination wedding because we are in no way “traditional”. I could not see myself in a big white gown at a church. Plus, we both have very large families are we did not want a huge wedding. 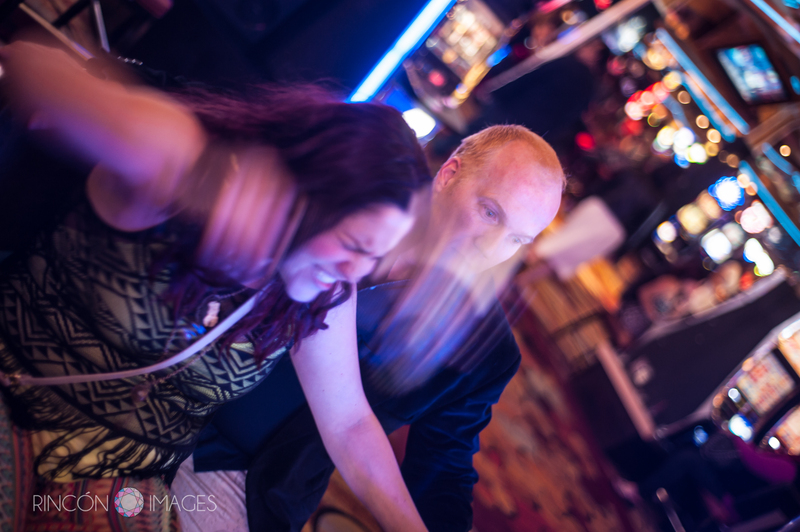 By choosing a destination we were able to keep it down to 9 guests, which made it so much more intimate. We chose Culebra as our destination because my family and I had been visiting Culebra since I was three years old!! 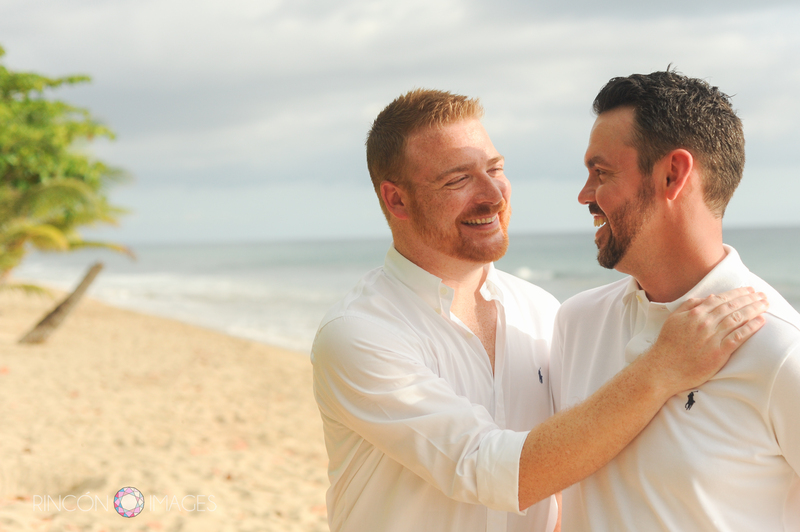 One vacation, I was maybe 8 or 9 years old, my dad and I were walking to the tank at flamenco and I looked up and said “daddy, one day I will get married on this beach.” We consider it our home away from home. When Marshall and I had been dating for 1 year, my parents allowed him to come along on our family vacation.. that was six years ago and he loves it as much as us!! 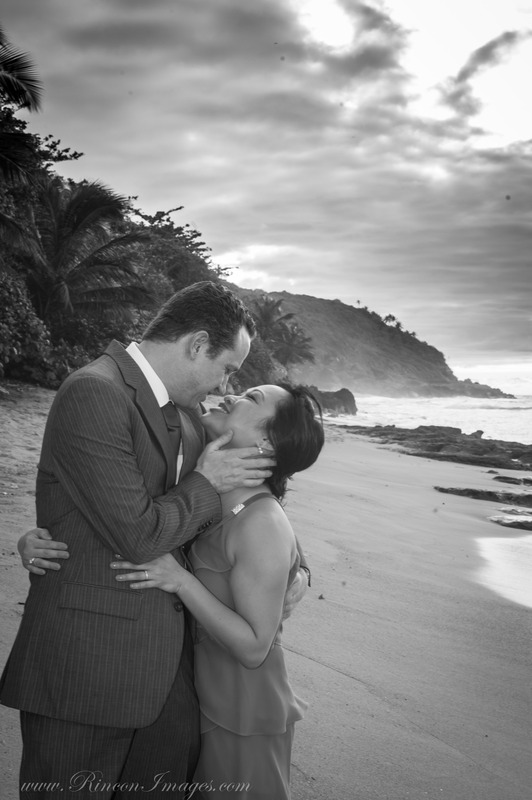 Flamenco beach is very special to our family, and now that we tied the knot there, it gives us all the more reason to visit every January… for our anniversary! 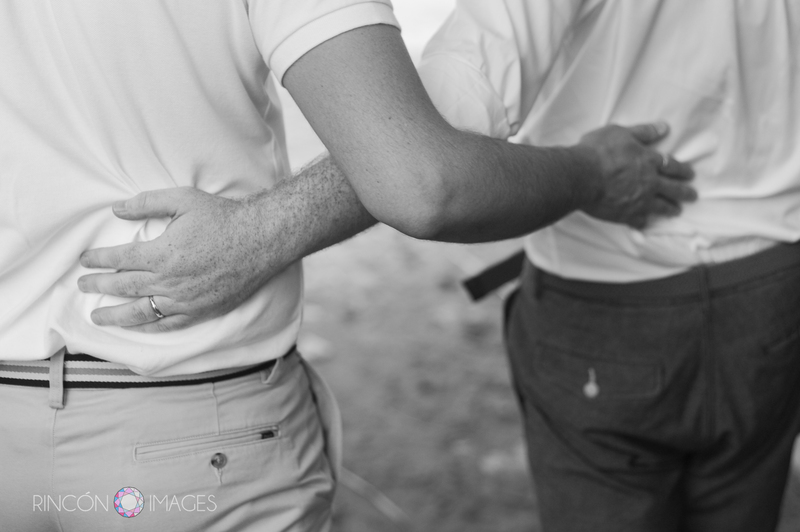 With all the chaos of the wedding planning.. don’t forget to take some time to talk with your photographer and look at different wedding poses that you may want.. I did not take much time to look at different poses, but I had talked to Frances multiple times and explained that I had no clue what kind of pictures I was looking for.. I left my picture faith in her hands.. She did an absolutely wonderful job in capturing the most beautiful moments.. I basically left all of the thinking to her and was not disappointed! This time last year I was packing my gear for the most amazing destination and all around adventure I had ever been on. 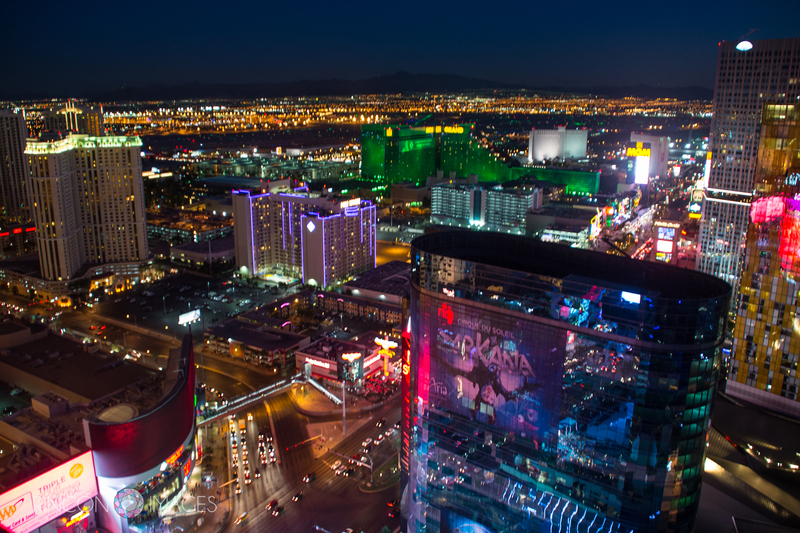 I was flying out to Las Vegas, Nevada to photograph Anastacia and Trevors off-beat, Valentines day, western themed, Vegas wedding in the Valley of Fire. My assistant was my long time friend Katie Crisman. We had worked together on several jobs while we were in College together in south Florida. 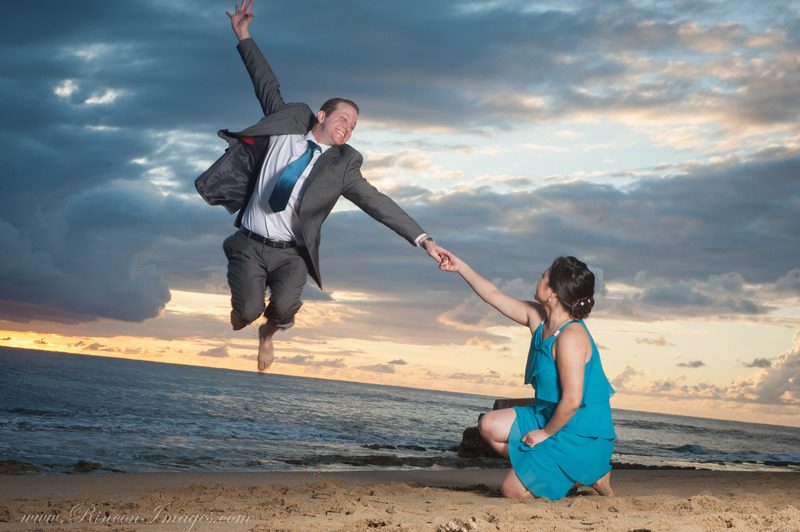 I couldn’t think of a better person to help me with this zany couple. 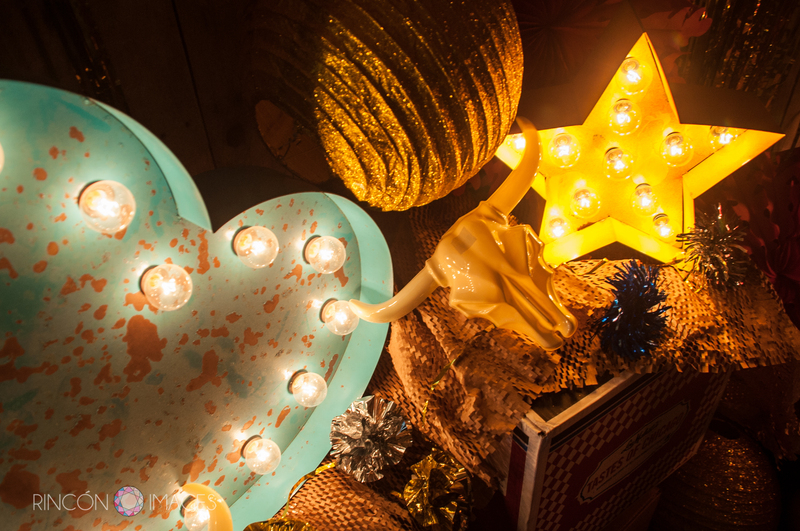 Anastacia is a costume and set designer so all of her western themed decorations were hand made. The DIY details included her crochet wedding dress, bouquet and of course western themed Valentines day goodie bags for all her guests. 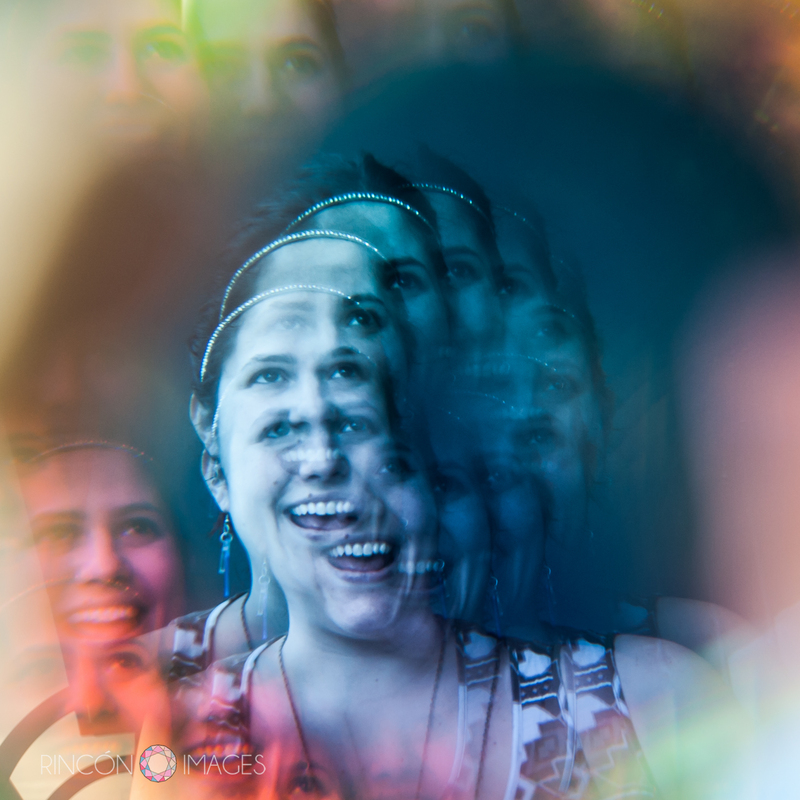 I photographed the wedding using my infrared camera and a special prism lens. 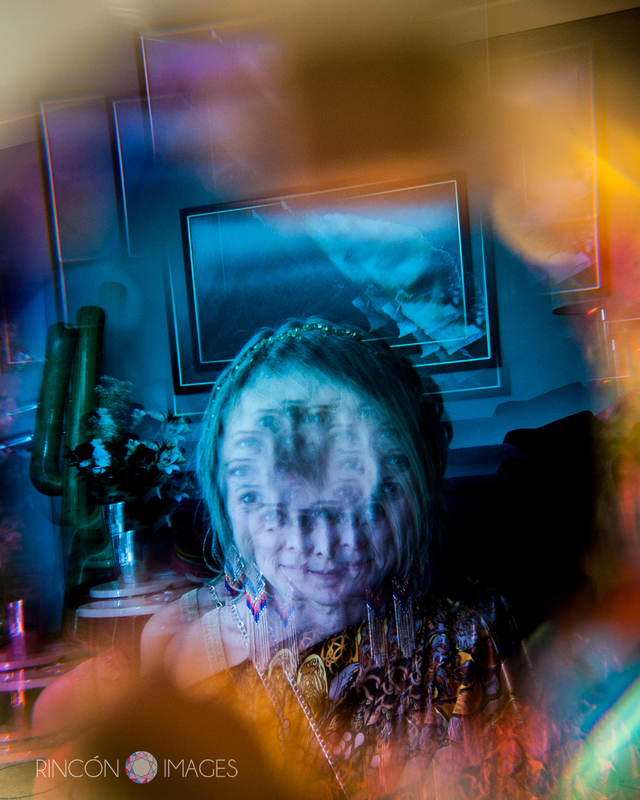 The result was a trippy collection of wedding photographs. They brought their cats with them to hang out in their swanky Vegas hotel room that they had decorated with all western themed items. 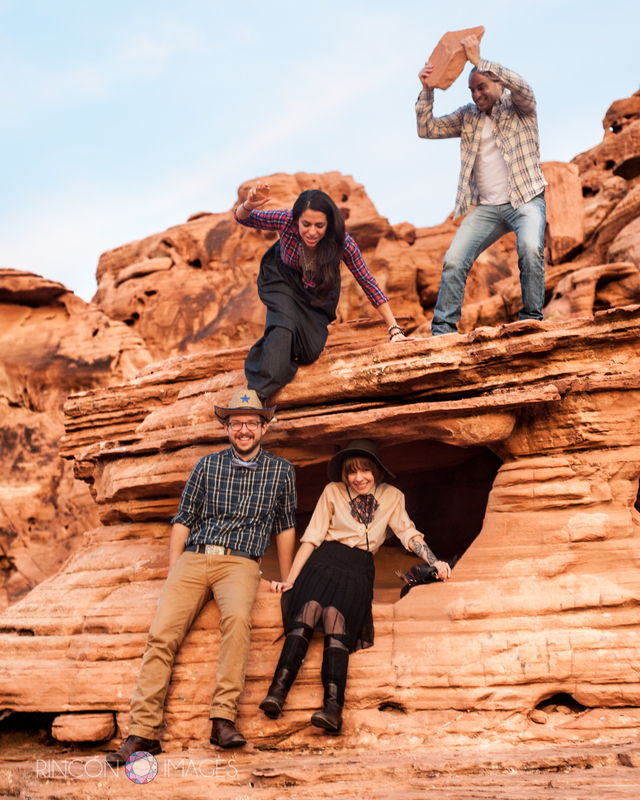 I had a blast following this amazing bunch of people all around Vegas and the Valley of Fire snapping photographs. 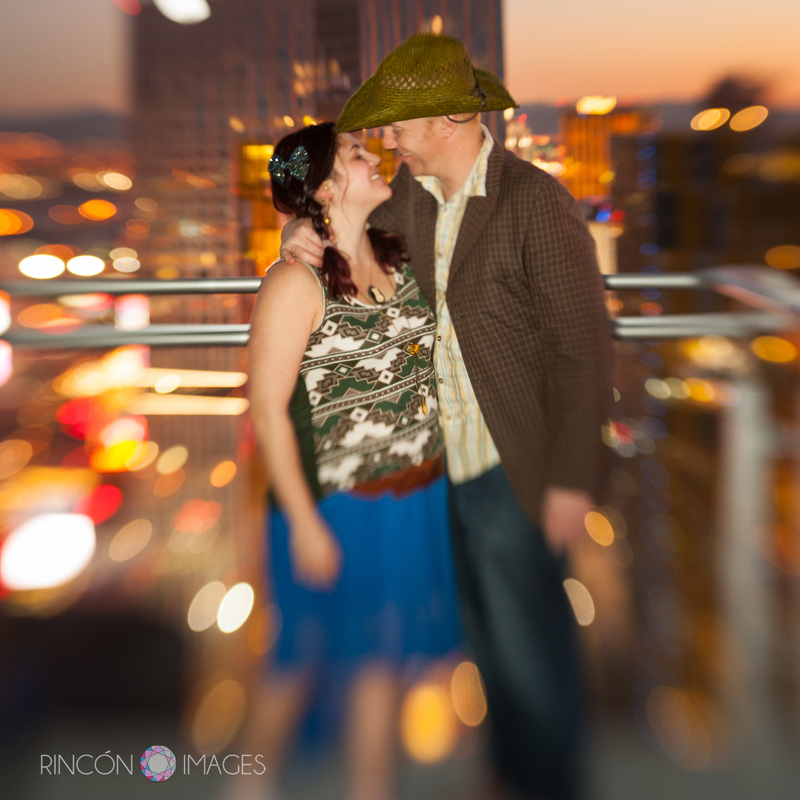 Trevor and Anastacia kiss on their balcony in Vegas the night before their wedding. Anastacia and Trevor had their cats along for the festivities. 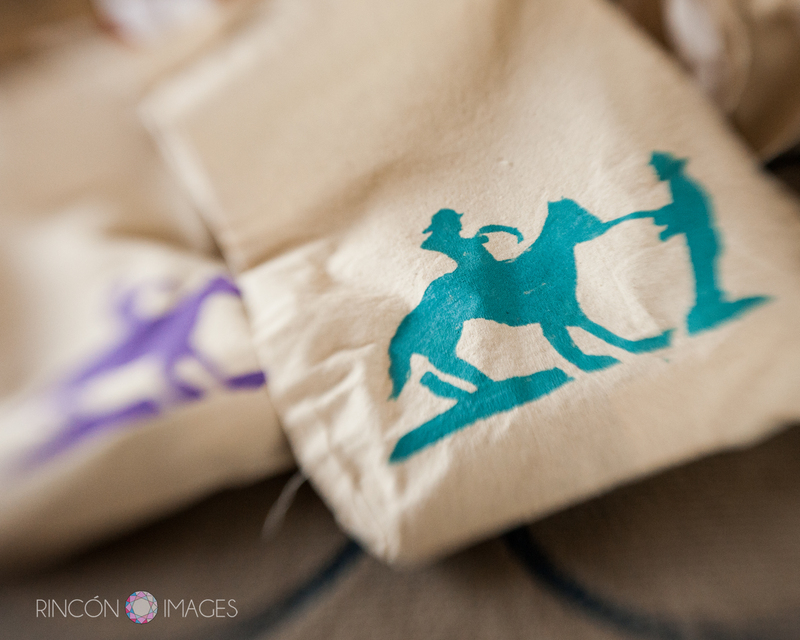 These are the western themed DIY goodie bags the bride made for her guests. Anastacia is the DIY queen! 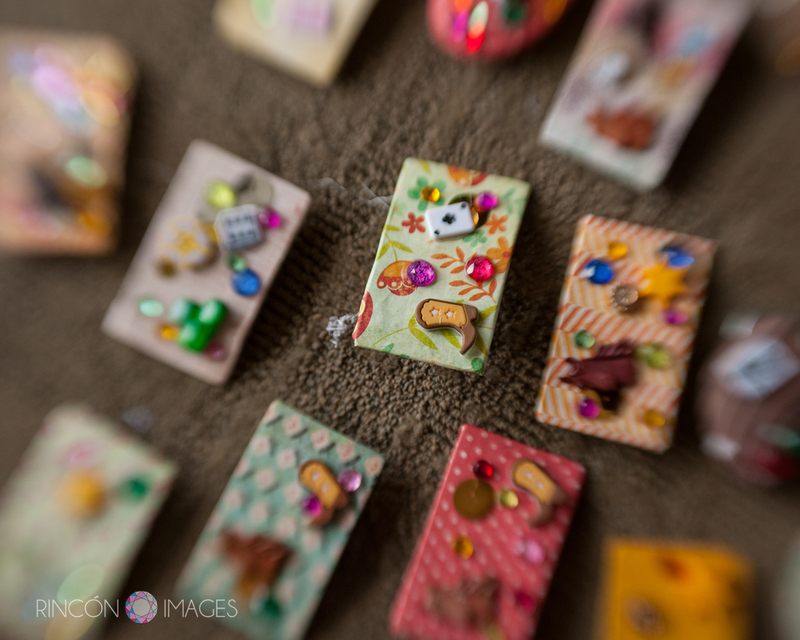 Fun DIY pins decorated with western themed buttons and sequins. 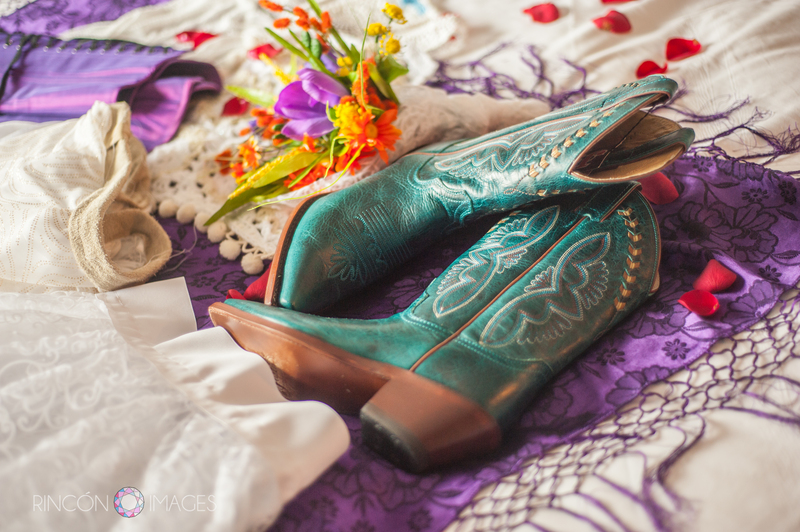 The brides blue cowgirl boots were a perfect quirky choice for the western themed wedding. 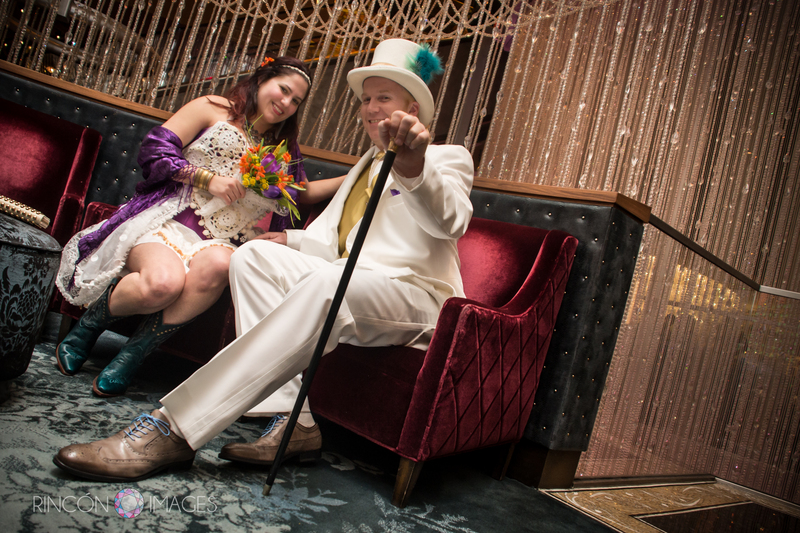 The happy couple ready for the big day relaxing in the lobby of the Cosmopolitan hotel. One of the most beautiful features of the hotel was this amazing hanging crystal chandelier. The strands were several stories long. 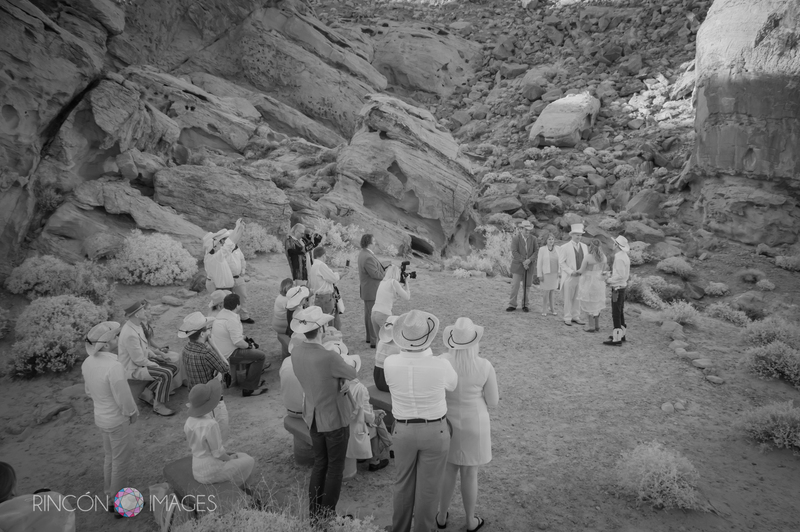 This is an infrared photograph I took of the ceremony in the Valley of Fire. 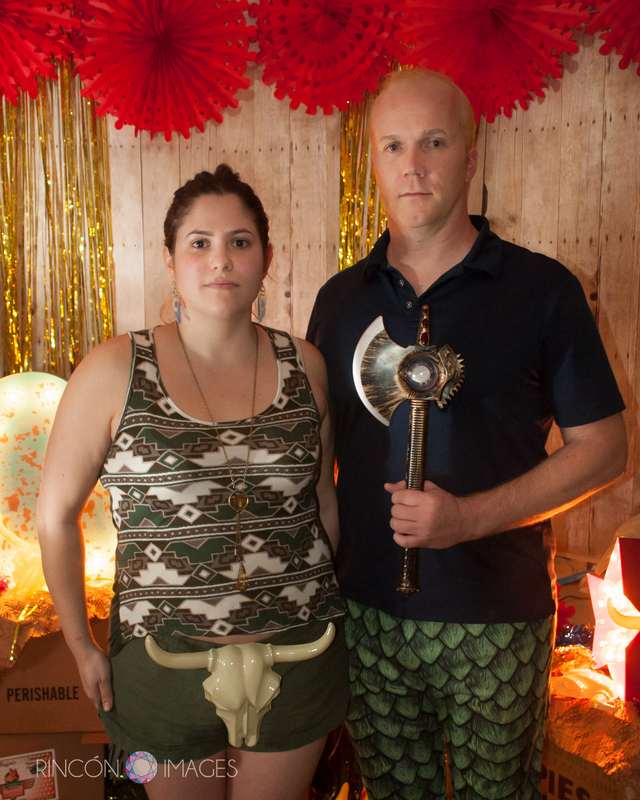 The couple posing in their DIY western themed Photo Booth! They set this up in the foyer of their hotel room. Such a fun idea! 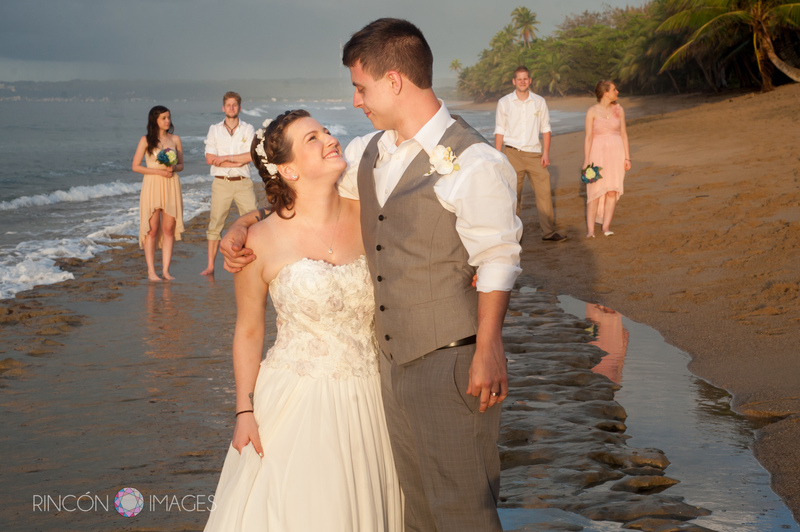 The most romantic wedding I’ve been to… Drew and Oh elope on the beach in Rincon, Puerto Rico. 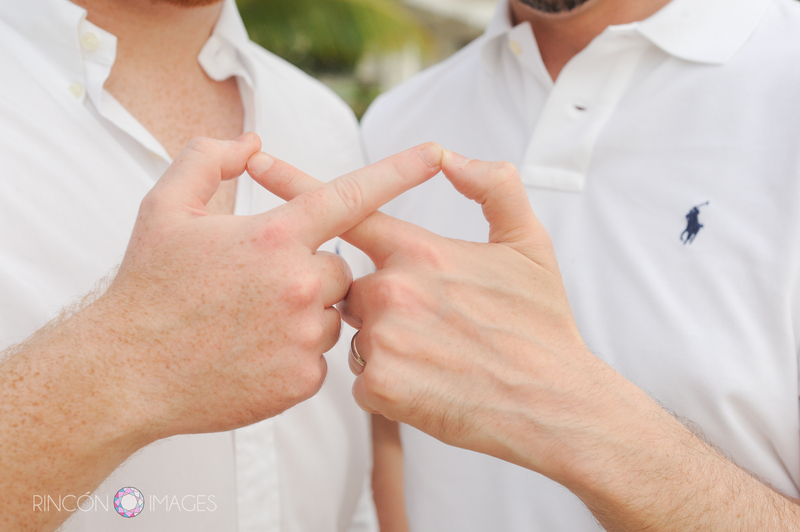 A few weeks ago Drew called me up to discuss having some photography done to celebrate his marriage to Oh. They had had a civil ceremony back in the states but wanted something extra special to commemorate to occasion. 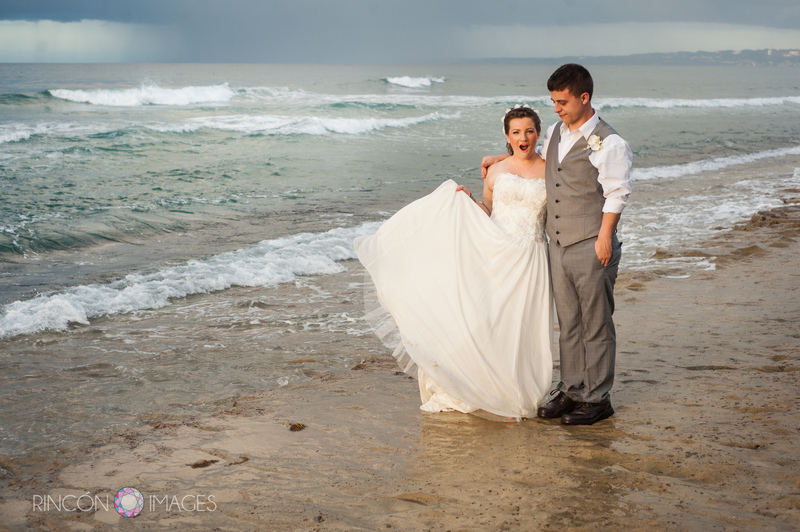 We talked a little bit about ideas and locations and settled on Pools Beach and Steps beach. When we arrived at Pools we had the beach to ourselves. It was just the three of us there with the sun and sand and sea as the only other witnesses. 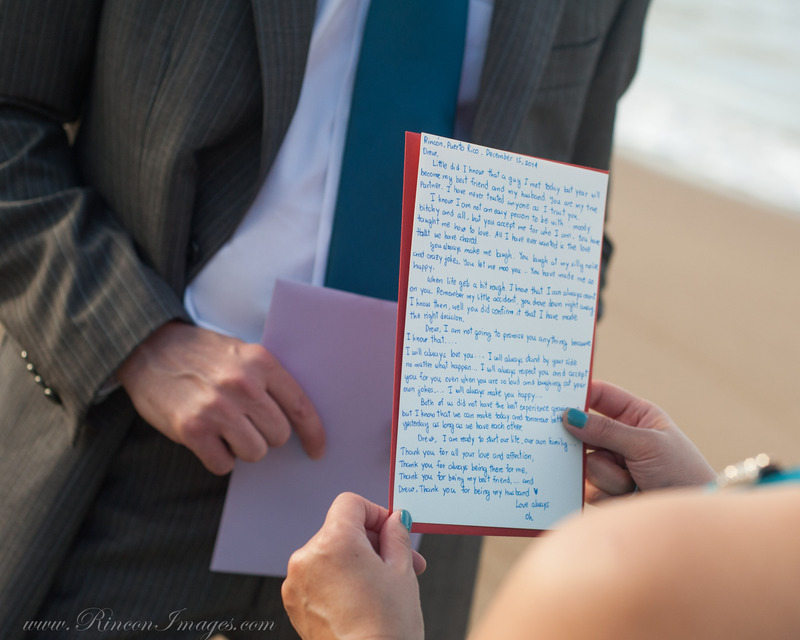 Drew and Oh had both written out their vows on cards that they had in special red envelopes. I took photos as they recited their vows to each other. We were all moved to tears that then became smiles. 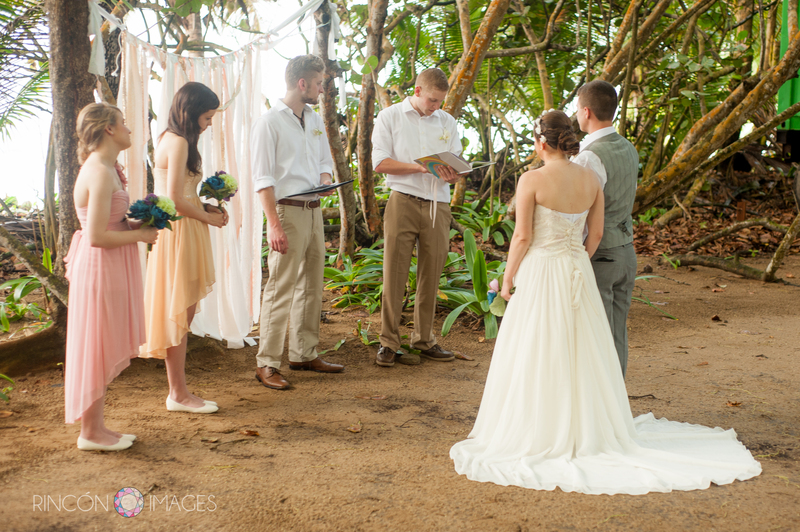 It was the simplest and most romantic ceremony I have ever photographed. I felt honored that they selected me to be there and share the space with them. After that we went over to Steps beach, one of Drew and Ohs favorite beaches they had discovered while they were here. We got to play around a bit on the beach, jumping and making funny faces. 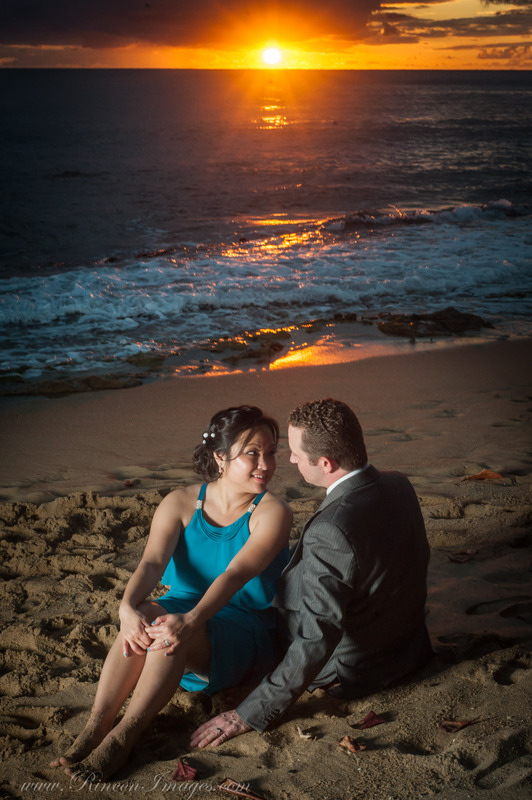 The photo session was a lot of fun and ended with a gorgeous red and orange sunset. I wish Drew and Oh all the best as they start their lives together. 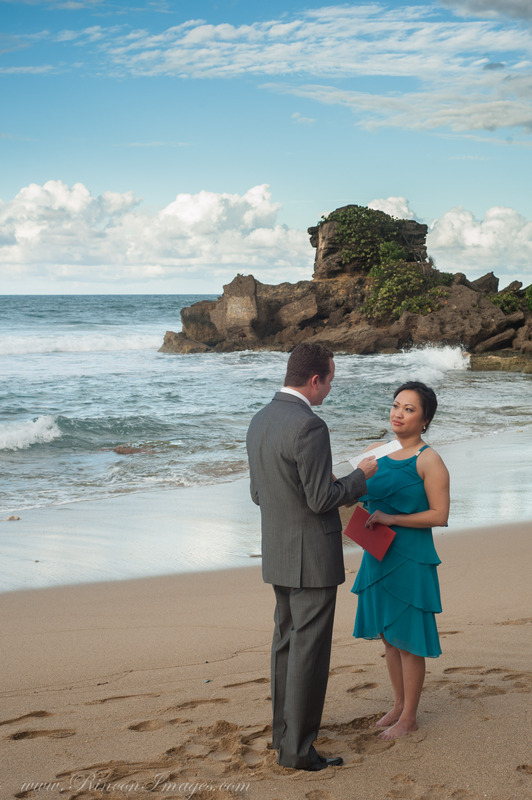 The bride and groom with their vows at Pools Beach in Rincon, Puerto Rico. Oh reading her wedding vows to her groom. 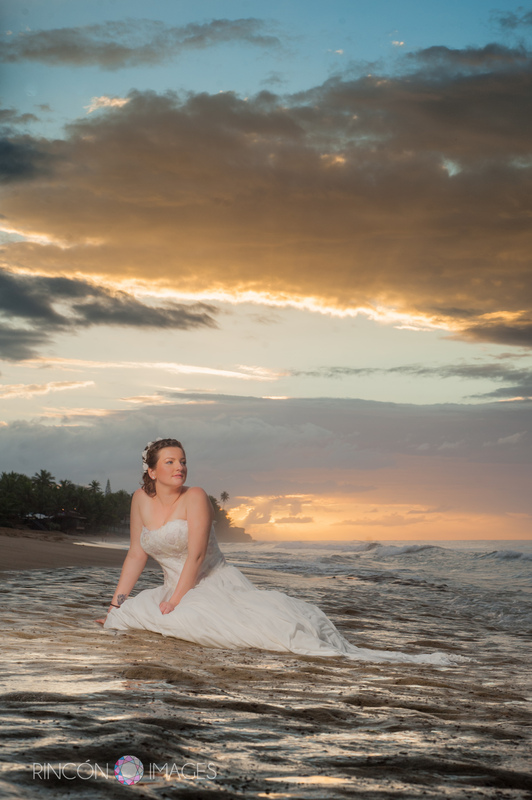 Wedding photographer Rincon Puerto Rico. 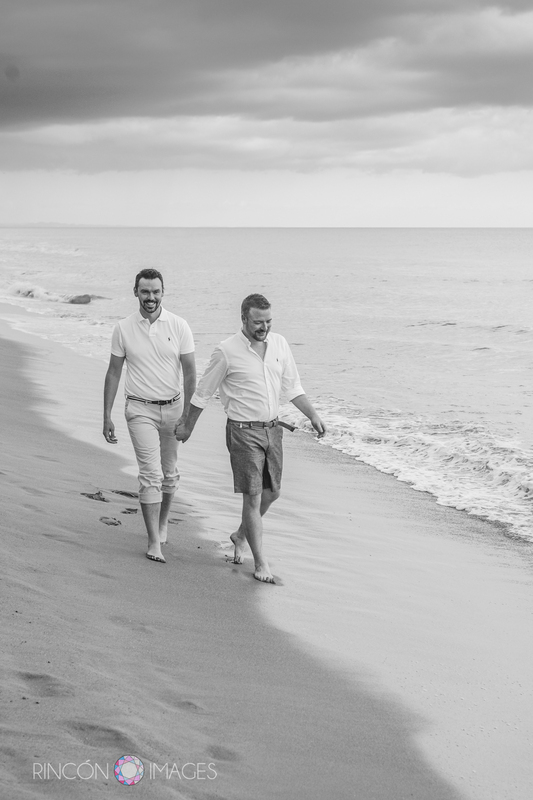 A romantic black and white wedding photograph I did of Drew and Oh at Pools Beach. That magic moment on the steps just as the waves start to roll in! 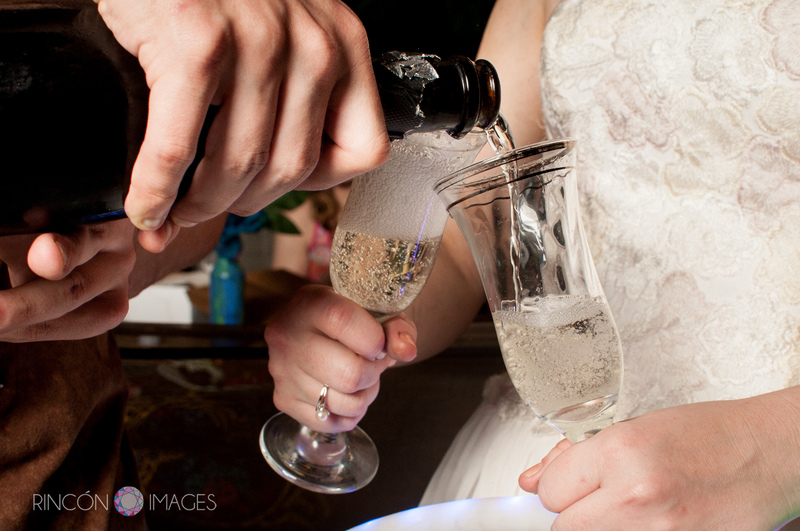 I love wedding photographs like this that really capture those special moments. The teal ocean waves rolling in at Steps beach in Rincon Puerto Rico. There were only little baby waves the day we had our photography session. When a swell is in the waves in Rincon can reach up to 20ft. The gorgeous view from Steps beach in Rincon, Puerto Rico. What a beautiful place to do wedding photographs. 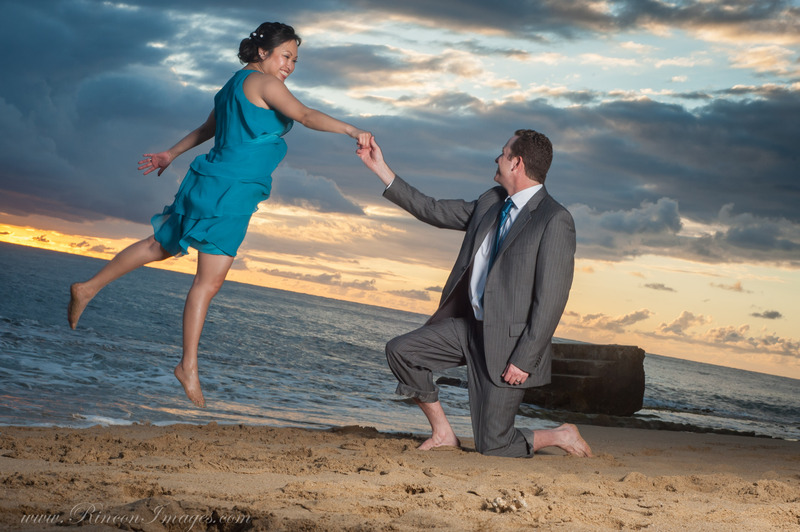 I love this fun jumping photograph. I love taking these pictures because you never know exactly what you will get when someone is in mid air. A photograph of Drew jumping. This one reminds me of something from a Disney movie. They both had a lot of fun playing in front of my camera. 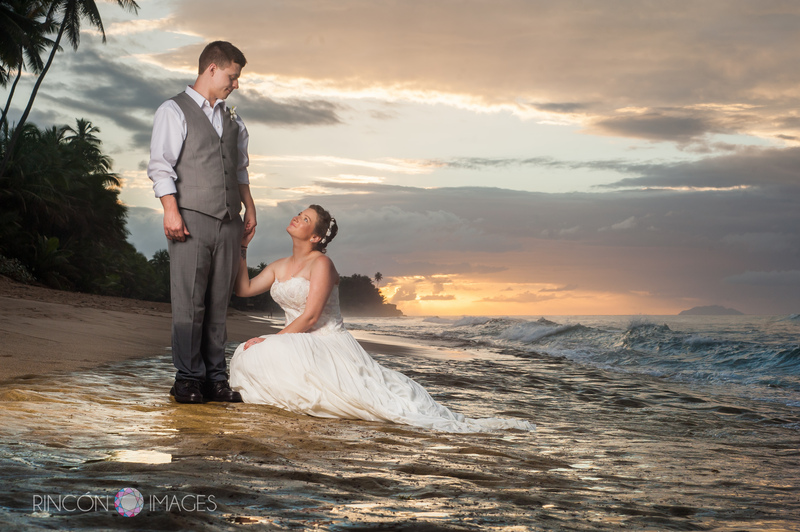 Sunset Romance… we couldn’t have asked for a better way to end our photo session than with a gorgeous Rincon sunset. The off camera lighting really helps make this photograph look like something out of a magazine. I absolutely love my alien bees for doing pictures on the beach at sunset. This last photograph is one I did pointing my camera directly into the soft box. I love being able to use studio lights outdoors. This technique is quickly becoming one of my signature shots.